Cambridge Healthtech Institute’s Seventh International Molecular Diagnostics Europe event will move to a larger venue for 2019 - the Lisbon Marriott Hotel - from 6-9 May. This meeting provides a nexus for diagnostic developers in academia and industry as well as end users in the pharmaceutical and healthcare sector to gain a comprehensive picture of molecular diagnostics in the prenatal, oncology, infectious disease, point-of-care, and liquid biopsy fields, plus new coverage of biomarkers for immunotherapy and companion diagnostics for immuno-oncology. This exciting area has attracted attendance of over 400 delegates to learn what novel technologies, platforms and applications are emerging that will impact future healthcare delivery and pharmaceutical research. The BPG organisers invite you to Houffalize on May 27 and 28 for the 2019 edition of the Annual Meeting of the Belgian Polymer Group! The meeting will provide a forum to discuss all current topics in polymer science, both by industrials and academics. The meeting is also a platform for young Belgian polymer scientists to present their work via oral communications and posters. Going on Cyclodextrin Complexes and Applications Graduate students, Ph.D students and Researchers interested in all aspects of cyclodextrin chemistry are welcome. Frontiers in Medicinal Chemistry 2019 will be jointly organised by EFMC, ACS and the local Polish organiser: the Polish Society of Medicinal Chemistry. The 2019 edition of the symposium will take place in Krakow, Poland, from June 10-13, 2019. This biennial meeting is a key symposium in its field with traditionally around 300 participants, from industry and academia. The EFMC - ACSMEDI Medicinal Chemistry Frontiers Meeting attracts a highly targeted audience composed of experts in drug discovery and development, in particular medicinal and synthetic chemists, together with scientists active in the fields of computer assisted drug design, biology, DMPK, pharmacology, early toxicology, as well as chemical and pharmaceutical development. The scientific programme for this meeting will feature a plenary session, followed by sessions covering the latest advances in medicinal chemistry. We are very pleased to welcome you in Ghent for the XVIII International Conference on Heterocycles in Bioorganic Chemistry (Bioheterocycles 2019) from June 17 to 20, 2019. The Bioheterocycles conference, initiated in 1980 by Prof. Henk van der Plas, is a biennial meeting in Europe, focusing on the synthesis and biological activities of heterocyclic compounds. The objective is to provide an informal meeting, facilitating fruitful interactions between young scientists, established academics, recognised international speakers and industrial experts on emerging trends and new developments related to heterocycles in chemistry, biology, medicine, agriculture. 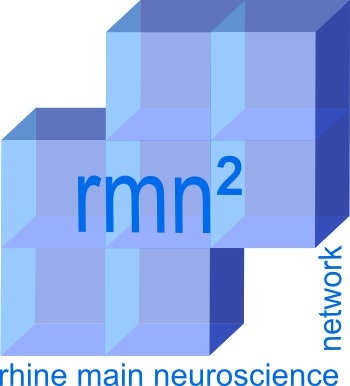 We are pleased to announce the “3rd International Symposium on Frontiers in Molecular Science—RNA Regulatory Networks (ISMFS 2019)”, which will be chaired by John Mattick (University of Oxford, UK) and Francisco J Enguita (Universidade de Lisboa, Lisboa, Portugal), and will be held in Lisbon, Portugal, 26–28 June 2019 (https://sciforum.net/conference/ISFMS2019). 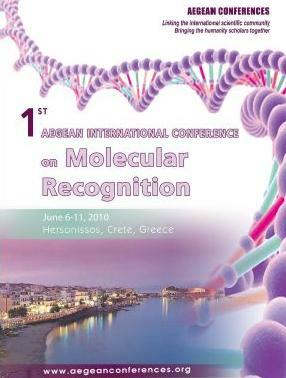 This international conference, which is sponsored by the journal International Journal of Molecular Sciences (IJMS) (https://www.mdpi.com/journal/ijms, IF 3.687), will bring together scientists from different areas to discuss the many dimensions of RNA regulation in development and disease, RNA structure-function relationships, the mechanisms by which plasticity is introduced, and the role of RNA in transgenerational communication. • Artificial Intelligence in Drug Discovery: Reality or Hype? Master students. For the latter, an advantageous registration fee is proposed. Moreover, a special career session will be organised with industrial and academic participants. This is the premier meeting for researchers working on HPV, polyoma and adenovirus, with a specific emphasis on the basic molecular biology of these viruses. Within this meeting there are sessions on viral entry mechanisms and capsid assembly, transformation and cancer, as well as novel approaches to therapy and prevention. The meeting usually attracts around 300 participants from all over the world, and this year's meeting is the 50th anniversary edition so we are expecting a particularly high turnout. The meeting this year is being supported by the ICGEB (https://www.icgeb.org/). The organization that I represent. We are an international organization with over 60 member countries and one of our missions is to promote research and capacity building in our member states. This meeting brings together a diverse group of academic and industry researchers who are focused on the functions and roles of helicases and helicase-like motors. The meeting includes a strong contingent of structural and mechanistic biochemists who aim to elucidate molecular mechanisms of helicases. Diverse groups of researchers who study cellular processes and critical human diseases in which helicase proteins perform critical roles also attend. The central themes of the meeting are: 1) Extend our understanding of the molecular structures, mechanisms, and functions of helicase proteins; 2) Explore how helicases and helicase-like motors are integrated into complex machines and pathways to perform key roles in fundamental cellular processes; 3) Develop our understanding of how deficiencies in the functions of helicase proteins cause or contribute to important human diseases. The European Federation for Medicinal Chemistry (EFMC), the Hellenic Society of Medicinal Chemistry and ChemBridge Corporation are jointly organising the VIII EFMC International Symposium on Advances in Synthetic and Medicinal Chemistry (EFMC-ASMC’19). This event is planned in the series which started in Moscow in 2004. 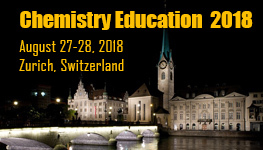 This symposium will bring together chemists from industry, academia and start-up companies from around the world and is focused on the most recent advances in new synthetic methodologies, total synthesis, fluorination approaches, bioisosteres and building blocks, chemical biology, medicinal chemistry, drug discovery and development leading to new or improved methods for the synthesis of pharmaceuticals. The EFMC Young Medicinal Chemist Symposium is an initiative of the European Federation for Medicinal Chemistry (EFMC). After a successful first edition organised in Lisbon in September 2014, four further meetings have been organised in Antwerp (2015), Manchester (2016), Vienna (2017) and Ljubljana (2018). The 6th edition will be organised in connection with the EFMC International Symposium on Advances in Synthetic and Medicinal Chemistry (EFMC-ASMC 2019), and will take place in Athens on September 5-6, 2019.
insight in biomaterials research in Germany. Venue is the International Congress Centre which is located in the heart of the historic city centre and directly at the banks of the river Elbe, making it a perfect place to enjoy the city after the scientific programme. We are delighted to announce that the 6th meeting of International Society for Zinc Biology (ISZB-2019) entitled "The New Sunrise of Zinc Biology”, in September 9th-13th at Kyoto, Japan. The official website for ISZB-2019 is now open where you can find the program outline, plenary lecture speakers, accommodation and location, etc. The meeting will take place at the Kyoto Garden Palace Hotel, which is in the center of Kyoto city and has excellent conference facilities. We plan social program including welcome dinner, Kyoto tour, and a Gala dinner. We would encourage early booking of the accommodation because September is popular season for tourists to visit Kyoto, and the hotels get booked up so quickly. We look forward to welcoming you to Kyoto in September 2019, and to a very successful and productive meeting. This workshop will foster scientific exchange between scientists working on the chromatin proteome, the dynamic behaviour of proteins in the nucleus, and the integration and visualization of protein and DNA networks. Sessions will include mass spec analysis of histone modifications, functional and structural chromatin proteomics, chemical proteomics in chromatin research, phase separation in specifying chromatin domains, and computational approaches in analysing, visualising and integrating proteomic datasets with other ‘omics’ methods. The 2019 International Conference on Biotechnology and Bioengineering (9th ICBB) will be held in Poznan, Poland during September 25-28, 2019. ICBB2019 is co-organized by Asia-Pacific Association of Science, Engineering and Technology, Institute of Bioorganic Chemistry, Polish Academy of Sciences, and Chinese Journal of Biologicals, in collaboration with multiple academic affiliations. It has been designed to provide an innovative and comprehensive overview of biotechnology and bioengineering. A focus will be given to major research advances including: 1. Microbiology, virology, cytology and immunology; 2. Biological macromolecules, proteins and nucleic acids; 3. Biomaterials, biopolymers and bioenergy; 4. Biomedicine, biopharmaceuticals, pharmacology and toxicology; 5. Agricultural & food science and industrial biotechnology; 6. Applications in bioengineering, biomedical engineering & technology and other related fields. The conference will last for two days from September. 26 to 27. Abstract Submission deadline will be on July. 31, 2019. Please also bring this notice to the attention of any of your colleagues and students who may be interested in this conference, thank you very much. Looking forward to seeing you at this significant event. It is with great pleasure that we announce the conference Viruses 2020 - Novel Concepts in Virology to be held in Barcelona, Spain, 5-7 February 2020. Because of their global impact on human, animal, and plant health and their utility as tractable model systems, viruses continue to play a central role in all aspects of biomedical research, ranging from molecular and cell biology, structural biology, and immunology to evolution, epidemiology, and bioinformatics. This conference will bring together leading virologists from around the world and across the broad field of virology to share results of their recent studies. Meeting participants will have the opportunity to present posters and short talks on their work and discuss their research in a stimulating and collegial environment. The conference is sponsored by MDPI, the publisher of the open-access journal Viruses and follows the very successful meetings Viruses 2016 - At the Forefront of Virus-Host Interactions held in January 2016 in Basel, Switzerland and Viruses 2018 - Breakthroughs in Viral Replication, held in February 2018 in Barcelona. We very much look forward to seeing you at this exciting meeting in Barcelona. 13th WORLD IMMUNE REGULATION MEETING, 6 - 9 April 2019, Davos, Switzerland. Immune Activation, Effector Functions and Immune Tolerance with a special focus on Autoimmunity“ Early Registration and Abstract Submission 1 October 2018 on www.wirm.ch As ever, immune regulation is the hottest issue in basic and clinical sciences. There is no doubt that we need to get together and share our new findings in an inspiring environment. With an outstanding list of speakers in this field, WIRM will be one of the key scientific event of the year 2019, being big enough to learn from other disciplines and small enough to personally meet the experts. Experimental Biology (EB) is the annual meeting of five societies bringing together more than 12,000 scientists and 25 guest societies in one interdisciplinary community. IJMS welcomes your attendance, at our booth #321, to talk to our editors about our journals and open access publishing. The Managing Editors of IJMS will be happy to answer your questions, and we have some submission discount vouchers and other great gifts for you too. EB is the place to explore the latest cutting edge science in anatomy, biochemistry and molecular biology, investigative pathology, pharmacology, and physiology. EB welcomes everyone with interest in advancing the latest research impacting life sciences. Attendees represent scientists from academic institutions, government agencies, non-profit organizations and industry. We are proud to announce that the 13th World Congress on Controversies in Neurology (CONy) will take place in Madrid, Spain on April 4-7, 2019. It is difficult to keep pace with the enormous growth in clinical and basic data in neurology. Conferences are informative, but there is often only limited time for thorough discussions. CONy provides a platform for international experts to discuss and compare experiences, thus closing the gap between the expansion of knowledge and its dissemination and use. The core of the CONy Congress are the debates which enable participants to focus on unresolved issues with leading world experts. The Congress aims to provide the most recent data armoring the clinician with reliable, up-to-date scientific information, helping in everyday patient care. It is very pleased to announce the special session "PIs of Tomorrow - The Future of Swiss Research" that will be held next year at the upcoming Life Sciences Switzerland (LS2) Annual Meeting (February 14-15 2019, University of Zurich). This session offers an opportunity to postdocs and senior researchers interested in pursuing an academic career to present a talk similar in format to a professorship application interview. A knowledgeable jury panel of professors will evaluate the presentations and provide feedback in a one-on-one session afterward. In 2019, the session will be for the first time a plenary session! The Festival is the home of European genomics and precision medicine. Over the past 3 years, it’s been host to government announcements, national strategies, international collaborations, and the very best research and technology from healthcare, industry, and academia. This year’s Festival agenda and speakers dig deep into research and business-critical priorities and challenges, offering tips, solutions and unmissable intelligence to help you move forward with your work. Major sessions are themed Clinical, Research, Pharma, Data, Technology, Investment/ROI and Other, with an additional Illumina stream. Fish and amphibian embryo models are highly popular in the area of toxicology, both in research, industry and potential regulatory application. These models exhibit a number of advantages which make them superior and/or complementary to others. In compliance with international animal welfare regulations, the fish and amphibian embryo models provide an ethically acceptable small scale analysis system with the complexity of a complete organism. A suite of available advanced methodologies allows various types of experimental approaches ranging from phenotypic observations, functional assays to “omics” analysis. The ultimate goal of the symposium is to promote the development of the fish and frog embryo models as potential alternatives to animal testing. Four exciting symposia were held between 2010 and 2016 with a strong focus on the zebrafish model. The symposium aims to bring together scientists using fish and frog embryo models, exchange knowledge, ideas and latest developments in the field of toxicology and teratology. Invited lectures will focus on specific topics. Breakout sessions will allow to identify major advantages, limitations, new fields and future research needs of the fish/amphibian embryo model and to establish collaborations. There might be slight changes in the topics of the breakout sessions depending on the interest of the participants and their contributions. 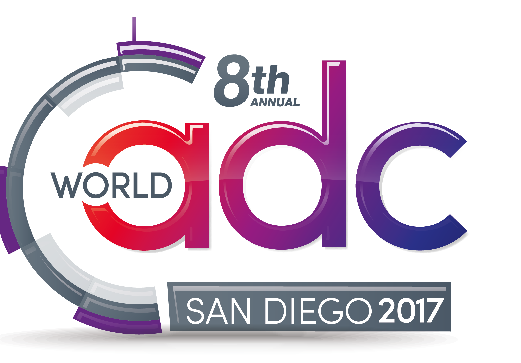 World ADC San Diego is the industry’s longest standing and most comprehensive antibody-drug conjugate conference. Don’t miss this opportunity to join your fellow scientists at the heart of the ADC community. Join 650+ of your peers, from 220 organizations for your most valuable ADC learning and networking opportunity of 2018. Oxford Global is proud to present its Synthetic Biology Congress taking place on 8-9 November 2018 in London. As part of our Genomics and Synthetic Biology UK series, our congress will bring together Over 600 delegates representing internationally renowned research & academic institutions, clinical research institutions and pharmaceutical companies. Our Synthetic Biology Congress will feature over 20 presentations and case studies demonstrating the latest synthetic biology tools and their therapeutic applications. The 22nd Joint Meeting of the “Signal Transduction Society Signal Transduction—Receptors, Mediators and Genes” was held in November. Congratulations to Karen Vousden, from the Francis Crick Institute, London, UK, who has been awarded an STS medal which was sponsored by IJMS. Global Engage is pleased to announce the Probiotics Congress: USA, held on October 29-30, 2018 at the Paradise Point Resort and Spa, San Diego. The congress will showcase a series of interactive presentations with leading academics and industry experts, panel discussions and extended networking time. The workshop focuses on the biological mechanisms and pathways associated with cancer development and progression aiming at the design of innovative diagnostic tools and therapeutic strategies. The annual Cell Series features 4 outstanding programmes: our long-running 7th Cell Culture and Bioprocessing, 3rd Cell & Gene Therapy, 5th Stem Cell & Regenerative Medicine and Biobanking Congresses. The Cell Series unites over 400 attendees and provides a focused networking platform targeting Cell Culture & Cell Line Development and Bioprocessing; Cell & Gene Therapy highlighting CAR T Cell Development; Stem Cell & Regeneration Medicine Development as well as Biobanking. Gain valuable insights into the most innovative cell culture bioprocessing and cell line development strategies, as well as the latest therapeutic developments & manufacturing technologies in the cell-based therapy, stem cell and regenerative medicine industry. The 6th annual conference of Immunogenomics will be held on the HudsonAlpha Institute for Biotechnology campus in Huntsville, Alabama. This conference will explore the application of genomic technologies to understand the immune system and the development of disease. For more information visit the official website. The 27th International tRNA Conference “tRNA at the crossroad” will bring together researchers from around the world studying the many aspects of tRNA biology. Initiated in 1969 in Cambridge, this series of congresses is one of the most ancient and uninterrupted series of international conference in biology. The last meeting, held on Jeju island, Korea in 2016, was a real success. 38 years after hosting the 9th edition of this congress, Strasbourg is proud to host again the tRNA conference. As emphasized at recent tRNA conferences, tRNA biology continuously reveals new surprising findings. tRNA biology is undoubtedly at a crossroad. Novel technologies allow to address new biological questions and to identify new functions. tRNA biology becomes essential to understand translation regulation, for synthetic biology, for systems biology or to understand the world of small RNAs. Now, more than ever, tRNA biology is also of major societal importance, as the number of diseases such as cancer, Alzheimer, myopathies, related to tRNA dysfunctions is regularly growing. We warmly invite you to be part of ComBio2018 which will be held at the brand new spectacular International Convention Centre Sydney on the Darling Harbour waterfront, which is within walking distance of the city, Harbour Bridge and a variety of reasonably priced restaurants, hotels and apartments. Functional Food Center is pleased to announce its 24th International Conference "Functional and Medical Foods for Chronic Diseases: Bioactive Compounds and Biomarkers." The conference will be held in Joseph B. Martin Conference Center at Harvard Medical School Boston, the USA on September 20-21, 2018. This conference will bring together experts in medicine, biology, and the food industry to discuss the functional foods with bioactive compounds as dietary interventions for chronic diseases. Conference organized by FFC and Nutrition/Metabolism Laboratory at Department of Surgery, Beth Israel Deaconess Medical Center/Harvard Teaching Hospital. It gives us great pleasure to invite you to the 37th World Congress of the International Society of Hematology, to be hosted by the Canadian Hematology Society in Vancouver, British Columbia on Canada’s magnificent west coast, from September 13 to 16, 2018. We extend to all of you a most enthusiastic welcome to the pertinent scientific sessions of the 37th World Congress of the International Society of Hematology together with the Canadian Hematology Society, where the latest research will be presented. We encourage you to maximize on this important opportunity to network with colleagues from around the world and to enjoy the pre and post congress events. We invite you to experience our warm Canadian hospitality in the vibrant city of Vancouver! The theme of this year’s conference is “Materials for Life,” which expresses the challenge the field of biomaterials is currently facing: to provide effective and affordable biomaterials-based methods to repair and regenerate damaged and diseased tissues and organs. This challenge can only be overcome by converging breakthrough developments from the fields of chemistry, physics, materials science, biology and engineering to address real clinical needs, while also considering the translational pathway from bench to bedside. Annual ESB conferences are an ideal setting for this endeavor. For 5 days, scientists, clinicians and industrialists with different backgrounds and expertise convene to synergistically advance the field of biomaterials by presenting their latest research, attending stimulating workshops and symposia and having lively discussions during breaks and social events. We are confident that Maastricht will encourage these activities in the best possible manner and we are happy to announce that four top scientists in the field, Dr. Viola Vogel, Dr. David Grainger, Dr. Katarina Le Blanc and Dr. Matthew Dalby have agreed to give a plenary lecture at the conference. 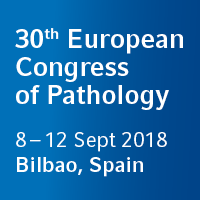 On behalf of the European Society of Pathology and the Spanish Society of Pathology we would like to invite you to Bilbao, Spain to attend the 30th European Congress of Pathology (ECP 2018). ECP 2018 will be held from 8 to 12 September 2018 at the Euskalduna Conference Centre next to the river Nervión. Join pathologists and scientists from all over the world to celebrate the 30th anniversary of ECP and become updated on all aspects of diagnostic and molecular pathology. The European Congress of Immunology - ECI - is the triennial joint meeting of all EFIS member societies. It is now one of the most highly-regarded international conferences in the field of basic and clinical immunology, attracting on average more than 4,000 delegates and offering the highest standards in terms of both scientific and social programs. Following Paris in 2006, Berlin in 2009, Glasgow in 2012 and Vienna in 2015, Amsterdam will play host to the Fifth ECI in 2018. We invite you to join us at the ECI 2018 in Amsterdam and discuss the latest developments in immunological research and clinical therapy. In line with the theme of Building Bridges, sessions will highlight new immunological discoveries with diagnostic or therapeutic promise. In addition, we will connect to other disciplines, like systems biology, multidimensional imaging, and microbiomics to stimulate novel directions of immunological research and therapy. Please, save the date – September 2-5, 2018. We hope to welcome you in Amsterdam! Join us at the University of Birmingham, UK, for the 2018 European Biological Inorganic Chemistry Conference (EuroBIC). The series of meetings has become a highly established international event, attracting scientists from all over the world. EuroBIC provides the major platform to present and discuss the latest developments in all fields at the interface between Inorganic Chemistry and the Life Sciences. We are excited to be able to confirm the Plenary Lecturers, Professor Alison Butler (Santa Barbara), Professor Chris Chang (Berkeley) which is sponsored by IJMS, Professor Serena DeBeer (MPI), Professor Zijian Guo (Nanjing), Professor Amy Rosenzweig (Northwestern) and Professor Thomas Ward (Basel). Ribosome synthesis is a complex process that requires the coordinated activities of many basic cellular functions. This complexity is reflected in the number of topics covered by this conference including RNA polymerase I transcription, rDNA chromatin structure, rRNA modification and maturation, ribosome assembly and mature structure formation, quality control, nuclear export, integration with cell division and metabolism, connection with diseases, and extra-ribosomal nucleolar functions. With such exciting breadth, this Conference provides a unique platform for interaction of scientists from diverse fields to discuss recent developments. This conference will be held in Yokohama, Japan on 8 to 12 July 2018 by Society for Molecular Biology & Envolution. SMBE 2018 at Yokohama is to celebrate the 50th anniversary of the landmark paper by Kimura (1968) who proposed the neutral theory of molecular evolution. This conference in 2018 is estimated to have 1200 participants. 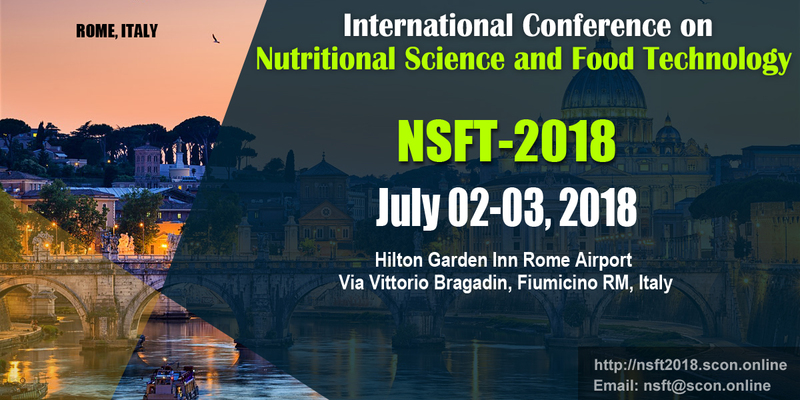 We are pleased to invite you to attend the International Conference on Nutritional Science and Food Technology that will take place in Rome, Italy on July 02-03, 2018. The conference is organized by the Scholarena under the scientific guidance of world’s eminent people from the field of food and nutrition with the support of world international scientific journals. The Biotech France 2018 Conference & Exhibition will be held in Paris- France from 27 to 29 June 2018. The event will reflect the full diversity of current biotechnology science advances in research and practice that open opportunities for exploitation of knowledge, commercially or otherwise, together with news, discussion and comment on broader issues of general interest and concern. The aim of this conference is to foster the exchange of knowledge, experiences and ideas among scientists, academics, students, industry representatives and other professionals interested in biotechnology; and works to develop synergies and relationships that further advance the field. 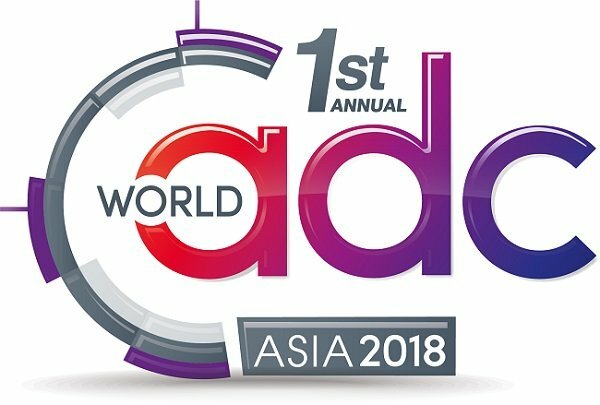 Focused on ADC drug development, World ADC Asia will enable you to propel your antibody-drug conjugate pipeline into clinical development. Join 80+ ADC experts from the world’s leading ADC companies to network with potential collaborators and cement existing partnerships. Designed with AbGenomics, Roche and RemeGen and other leading ADC organisations this forum will enable you to explore novel linker technologies for enhanced in vivo stability, confidently meet regulatory quality specifications for biosimilar candidates and confidently outsource to your chosen CMO. This is the only ADC focused conference that will bring together all the key players both from within Asia, the US and Europe. Welcome to ICAR 2018 in Turku! It is a pleasure to invite you to participate in The International Conference on Arabidopsis Research (ICAR) which will be held on 25-29 June 2018 in Turku, Finland. The International Conference on Arabidopsis Research is a yearly conference rotating between North America, Australasia and Europe. The ICAR2016 was held in South Korea and is followed by ICAR2017 in St. Louis, Missouri, USA. The conference is centered on all aspects of modern plant biology using thale cress (Arabidopsis thaliana) as a model system. The conference regularly brings together over 800 scientists from all corners of the world for five days to discuss all aspects of molecular plant science from research on plant growth and development to improving plant tolerance to adverse environmental conditions. 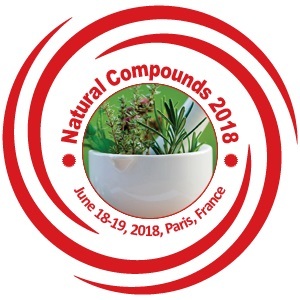 PULSUS cordially welcome researchers, academicians, students and business professionals in the field of Pharmacology and Natural Compounds from around the world to participate in the upcoming “World Congress on Pharmacology and Chemistry of Natural Compounds” during June 18-19, 2018 in Paris, France. The meeting for this year will revolve around the theme “Exploring New Trends & Innovations in Pharmacology and Natural Compounds” thus relaying the most cutting-edge findings in the field of pharmacology and chemistry of Natural Compounds. At IPC2018 leading scientists will present and discuss current advances in the research of gut microbiota and gut microbial ecosystem. The scientific programme aims to advance the understanding of microbial diversity of the gastro-intestinal ecosystem by presenting new insights in its complex balance or imbalance, and discuss ways to modulate the gut microbiota to the benefit of the host by means of bioactive substances. You are invited to attend the premier hematology congress in Europe in Stockholm from June 14-17, 2018. 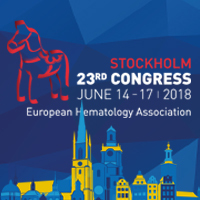 The 23rd Congress of EHA will offer you a program covering every subspecialty in hematology, as well as network opportunities with experts from all over the globe. The educational and scientific program will highlight state-of-the-art clinical practice, the latest findings in hematology research and many more interesting sessions. The congress also provides satellite programs, Updates-in-Hematology and an exhibition organized by pharmaceutical companies. For its fifth edition, the NovAliX Conference "Biophysics in Drug Discovery" will be held for the first time in the US and will take place at the Hilton Back Bay in Boston, MA. And we are extremely honored that Professor Martin Karplus (Nobel Prize in Chemistry 2013) has agreed to give the Keynote Lecture. The Johannes Gutenberg University Mainz, the Goethe University Frankfurt, and the Technische Universität Darmstadt have selected neuroscience as their research focus and have signed a contract of cooperation in the biomedical sciences to this end. The contract will ensure an aligned strategic plan in developing neurosciences at both locations. Specifically, the contract guarantees harmonization of the hiring strategy, enables researchers and students alike to utilize facilities at both institutions, and provides the formal basis for common research activities such as CRCs or CRUs. Moreover, the University Mainz Campus and its Medical Center are a mere 37-minute drive from the University Hospital in Frankfurt and just a 42-minute drive from the Campus at Frankfurt Riedberg with its Max Planck Institutes (MPIs) and University Biocenter. Thirty years of Dendritic Cell Symposia created a unique and world-wide operating network of research groups dedicating their work to better understand the role of dendritic cells in health and disease and to harness their therapeutic potential. Initiated by the discovery of Ralph Steinman at Rockefeller University, New York, in the early 1970s, European scientists were attracted by this exciting field of research early on and continue to make major contributions. Thus, it is our great pleasure to invite you to join us at the 15th International Symposium on Dendritic Cells in historic Aachen. This city is not only located in today’s tri-state-area between, Belgium, The Netherlands and Germany but also represents a true European place having been home to Celtics, Romans, Merovingians and Franconians alike in the past. DF18 covers all sources of dietary fibre and their diversity regarding impact on food structure, the human gut microbiome and health, including state-of-the art reviews by authoritative speakers and updates on new developments in major international projects. 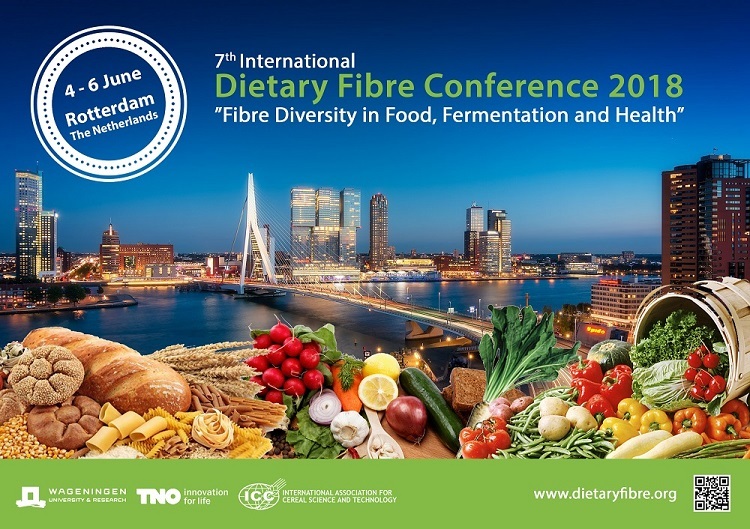 DF18 therefore offers a wide forum for all disciplines and industrial sectors involved in the research, exploitation and utilization of dietary fibre. A rich table top exhibition of products, and scientific tools contributes to giving the participants a comprehensive overview of the state of the art in the field of dietary fibre. We look forward to welcoming you to Rotterdam! This SRC focuses on understanding the molecular and cellular mechanisms of signaling in cancer in order to develop effective therapies. Specifically, the driving force behind this meeting is that understanding cancer at the molecular and cellular level opens the arena for novel therapeutic strategies. The meeting will cover cancer from the biochemical to the therapeutic level. Focus on genomics, spatial aspects of signaling, and patient data will be a strength of the meeting. This conference broadens the mechanistic/biochemical aspect historically represented at the meeting to cover all signaling pathways relevant to developing therapies for cancer. The conference will provide ample opportunities for informal interaction to foster collaboration and promote the exchange of ideas. Autophagy continues to be one of the most exciting and topical subjects in biology. Since the first Autophagy Harden Conference (the 68th Harden, held in 2010), our understanding of the basic regulatory mechanisms and the physiological roles of autophagy in health and disease has advanced substantially. Recent years have seen an impressive diversification in autophagy techniques and model systems, as well as seeing autophagy knowledge put to many novel practical applications, including disease intervention for which novel autophagy modulators are in the pipeline. This meeting brings together experts in the autophagy field from across the world to present cutting edge research on the molecular control of autophagy and the roles of autophagy in immunity, physiology and disease. The evolutionarily conserved GATA family of transcription factors executes essential developmental functions. The IUBMB Focused Meeting on GATA Transcription Factors will take place on May 28-June 1, 2018 in Crete, with funding from the International Union of Biochemistry and Molecular Biology and IUBMB Life. The meeting will bring together the GATA research community to discuss recent progress on the transcriptional landscapes of GATA factors in fundamental developmental pathways and the increasing implication GATA factors in human disease. Cambridge Healthtech Institute’s Sixth International Molecular Diagnostics Europe event will return to Lisbon on 22-24 May 2018. This meeting provides a nexus for diagnostic developers in academia and industry as well as end-users in the pharmaceutical and healthcare sector to gain a comprehensive picture of molecular diagnostics in prenatal, oncology, infectious disease, point-of-care, and liquid biopsy. This exciting area has attracted attendance of over 400 delegates to learn what novel technologies, platforms and applications are emerging that will impact future healthcare delivery and pharmaceutical research. Join us this spring at this expanding event at the epicenter of diagnostics. We are happy to announce that the Copper Bioinorganic Chemistry Symposium (CuBICS 2018) will be held from 21 to 24 May 2018 in Marseille (France). On behalf of the organizing committee, we cordially invite you to participate to the Copper Bioinorganic Chemistry Symposium (CuBICS 2018). Under the subject of “Copper Bioinorganic Chemistry”, this conference will cover newly attained research achievements in the field for the past few years. We have already received an overwhelming response from a large number of experts from over the world who have agreed to join the symposium. You will find here the list of confirmed speakers. Over 20 presentations dedicated to genome editing technologies and the applications of genome editing in a range of therapeutic areas, including CNS disease, oncology and genetic disorders. We will also be addressing the key updates in drug discovery and development, including bioinformatics and target identification. Over 20 presentations focused on key issues in transgenic technologies including in-vivo CRISPR genome editing, translational applications using various animal models and transgenic models of oncology, cardiovascular disease, and metabolic disorders. Over 20 presentations dedicated to advances in Synthetic Biology explaining recent tool developments as well as their therapeutic and diagnostic applications. 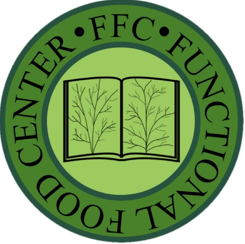 Functional Food Center is pleased to announce its 23rd International Conference and Expo on Functional Foods "Functional Foods and Bioactive Compounds in Health and Disease: Science and Practice." The conference will be held at San Diego on April 24-25, 2018. The 23rd International Conference of Functional Food Center will bring together experts in medicine, biology, and the food industry to discuss the functional foods with bioactive compounds as dietary interventions for chronic diseases, as well as for health promotion. Experimental Biology is the annual meeting of five societies comprised of more than 14,000 scientists and 25 guest societies. Primary focus areas include anatomy, biochemistry and molecular biology, investigative pathology, nutrition, pharmacology, and physiology. EB 2018 is open to everyone with interest in the latest research impacting life sciences. Attendees represent scientists from academic institutions, government agencies, non-profit organizations and industry. This multidisciplinary, scientific meeting features plenary and award lectures, workshops, oral and posters presentations, on-site career services and exhibits spotlighting equipment, supplies and publications required for research labs and experimental study. Our booth number is #1034 and we are looking forward to welcome you at Experimental Biology 2018 in San Diego! The 12th Congress of the WFNMB is a premier quadrennial international congress that aim to promote further Global Translation of Molecular Medicine, incorporating the translation of basic laboratory research to clinical practice, establishment of clinical and technical standards, and the translation of molecular medical technology to developing countries for the benefit of patients worldwide. The cutting edge, multidisciplinary scientific program will cover themes dedicated to nuclear medicine specialists, radiologists, medical imaging specialists (including technologists, radiographers, and radiation therapists), medical imaging trainees, physicists, scientists, nurses, and the broader medical and scientific community. Pulsus Group invites all the participants from all over the world to attend "7th World Congress on Immunology" on April 19-20, 2017 at Amsterdam, Netherlands. Conference includes prompt keynote presentations, Workshops, Oral talks, Poster presentations and Exhibitions. Immunology conferences will gather people from academia, business and societies interested in immunology to share the latest trends and important issues relevant to immunology & related fields. Immunology world 2018 will provide the platform to meet global leaders in Immunology and relevant fields to hear their research at this exclusive scientific program. The Immunology Conference hosting presentations from editorial board members of prominent refereed journals, renowned and active investigators and decision makers in the field of Immunology. Immunology World 2018 Organizing Committee also invites Young investigators at every career stage to submit abstracts reporting their latest scientific findings in oral and poster sessions. The EuroScicon invites all the participants from all over the world to attend their (CPD accredited) StemCell 2018 will encompass recent researches and findings in the StemCell technologies, StemCell therapies and transplantations and other advancements in Stemcell research and its science from April 16- 17, 2018 in Amsterdam, Netherlands. The theme of the conference is "Frontiers in Stem Cells & turning ideas in to reality" which will provide an international platform for discussion of present and future challenges in various kind of genetical and immunological diseases and disorder, Stemcell education and expertise meeting. The Microbiology Society Annual Conference 2018 will take place over four days between Tuesday 10 April and Friday 13 April and will be held at the International Conference Centre (ICC), Birmingham, UK. The Society’s Annual Conference attracts over 1,400 attendees for the UK’s largest annual gathering of microbiologists and you can see what took place at the 2017 conference on YouTube. The approval of Besponsa and re-approval of Mylotarg has fuelled the belief that ADCs are at the forefront of research in the war to fight cancer. With a further 72 ADCs in clinical development this means ADCs are putting cancer treatment on the cusp of a major breakthrough. These huge strides forward and more will be covered at World ADC Berlin. Now in it’s 8th year, World ADC Berlin is Europe’s longest standing and most comprehensive antibody-drug conjugate conference. Attend this meeting to develop more clinically efficacious and safe ADCs. Use promotional code IJMS to receive a 10% discount off the current price – register online at http://worldadc-europe.com/attend/register/. We are proud to announce that the 12th World Congress on Controversies in Neurology (CONy) will take place in Warsaw, Poland on March 22-25, 2018. In recent years the field of neurology has witnessed enormous growth in clinical and basic data. Conferences are more informative but there is often only limited time for thorough discussions. Consequently a gap appears between the expansion of knowledge and its dissemination and use. CONy provides a platform for international experts to discuss and compare experiences. The core of the CONy Congress are the debates which enable participants to discuss unresolved issues with leading world experts. The Congress aims at providing the most recent data armoring the clinician with reliable, up-to-date scientific information, helping in everyday patient care. We cordially invite you to join us in the beautiful city of Warsaw! The traditional spring meetings of the German Society for Biochemistry and Molecular Biology (GBM) are held annually in the picturesque town of Mosbach to promote the exchange of scientific ideas and to foster the education of young scientists. The scientific theme of the 69th meeting is "Synthetic Biology – from Understanding to Application". At the meeting, leading experts will give an overview of this emerging field, including both bottom-up design of artificial (minimal) cell-like systems and top-down rational modification and rewiring of existing cellular networks. The meeting will further cover multiple biotechnological and biomedical applications of synthetic biology. We look forward to seeing you in Mosbach. 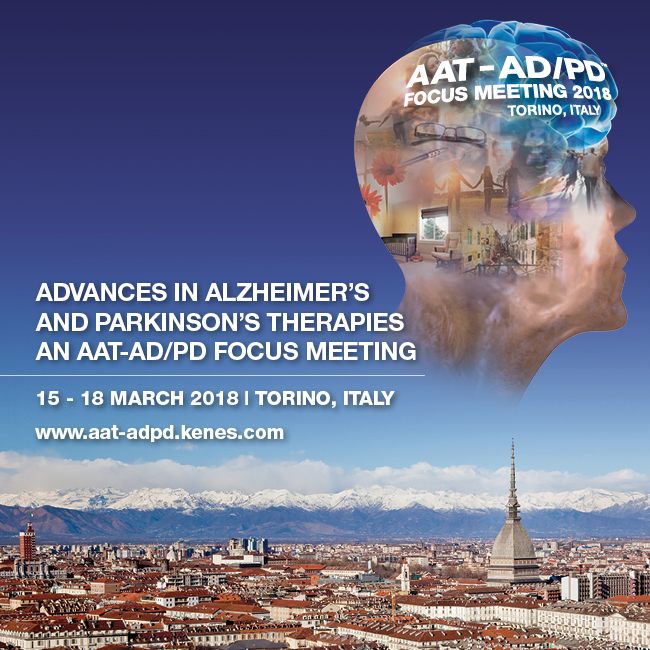 We invite you to AAT-AD/PDTM Focus Meeting 2018, a new joint meeting between the International Geneva/Springfield Symposium on Advances in Alzheimer Therapy and AD/PDTM. The Conference will present all the latest breakthroughs in treatment, translational R&D, early diagnosis, drug development and clinical trials in Alzheimer's, Parkinson's and other related neurological disorders. A central theme will be to further advance innovative strategies in therapy and prevention, clinical trials and diagnostic markers discussed in the sessions and corridors at AD/PDTM 2017, in order to focus on driving successful collaborations among academia and industry, leading to the development of innovative drugs and ultimately providing for a better future for patients and families affected by neurodegenerative diseases. Join us 15-18 March 2018 in the historical city of Torino (Turin), the first capital of Italy and the site of the 2006 Winter Olympics at the Southern edge of the Alps. The EuroSciCon on Structural Biology is going to be held during March15-17, 2018 at Barcelona, Spain. Computational Methods and Biology, Molecular Modelling, Simulation & Molecular Graphics, Molecular Engineering, Molecular Design Software, 3D Protein Structure Predictions, Structural Bio-informatics, Drug Designing, Biomarkers & Proteomics, Databases, Chemical Biology, Biophysics, Genome Informatics and Cancer Immunotherapy. and accelerate progress in this area.This conference would be a great opportunity for the global scientists with great mark of vision in the field of scientific advancing technologies. 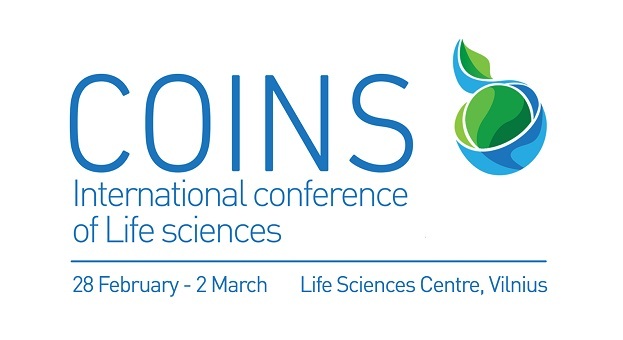 The COINS 2018 is the 13th international conference of life sciences, organised by the Vilnius University Students Representation. The event gathers not only students and scholars, but also various people working in the life science field. This conference invites everyone to discuss, learn and share their scientific experience, find new partners, meet key experts and enjoy an exciting programme. Super-resolution imaging methods now can provide spatial resolution that is well below the diffraction limit approaching virtually molecular resolution. They can be applied to biological samples and provide new and exciting views on the structural organization of cells and the dynamics of biomolecular assemblies on wide timescales. These revolutionary developments come with novel requirements for fluorescent probes, labeling techniques, and data interpretation strategies. Researchers from across the scientific spectrum are involved in designing improved tools and solving previously intractable problems using super-resolution techniques. After a successful inaugural conference in Basel, Switzerland, in 2016, we again invite you to attend the ‘2nd International Conference On Nanoscopy 2018’, which will uniquely focus exclusively on this topic. Held in Bielefeld, Germany from 27 Feb-02 March 2018, it will bring together an international group of experts to discuss the latest advances and future directions in the field. Speakers include W.E. Moerner (2014 Nobel laureate), Jennifer Lippincott-Schwartz, and Alberto Diaspro with Hari Shroff (USA), Stefan Jakobs (Germany), Maxime Dahan (France), Sara Abrahamsson (USA), Jörg Enderlein (Germany), Melike Lakadamyali (Spain), Peter Dedecker (Belgium), Ulrike Endesfelder (Germany), Theo Lasser (Switzerland), Achillefs Kapanidis (UK), Mike Heilemann (Germany), Mark Schüttpelz (Germany), Christian Eggeling (UK), Deblina Sarkar (USA), and others. 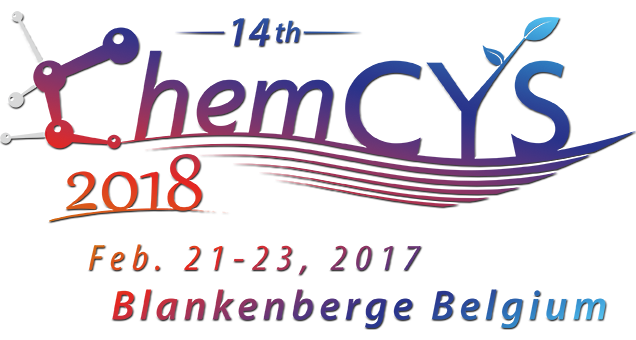 ChemCYS' 14th edition will take place from 21 to 23 February 2018 in Blankenberge (Belgium). Abstract submission deadline is 31 October 2017. This conference gives young attendees the opportunity to present early results of their research. Topics are focused on the typical research domains in chemistry. The best oral and poster presentation of each session will be awarded. Plenary keynote lectures by world-renowned scientists are scheduled as well. 2016 Nobel prize laureate Prof. Dr Ben Feringa (University of Groningen) will give a lecture on molecular machines. Prof. Dr Sir Martyn Poliakoff (University of Nottingham) will engage you his talk focusing on green chemistry with respect to the environment and 2009 Nobel prize laureate Ada Yonath (Weizmann Institute of Science) will give a lecture on the discovery of the structure of ribosomes. As science becomes increasingly interdisciplinary, the Biophysical Society Annual Meeting continues its long-held reputation for bringing together leading scientists from the all over the world who work at the interface of the life, physical, and computational sciences. The dynamic five-day Meeting provides attendees with opportunities to share their latest unpublished findings and learn the newest emerging techniques and applications. Despite its nearly 6,500 attendees, the Meeting is noted for maintaining its “small meeting” feel beginning with the Saturday subgroup symposia, which allow attendees to meet within their scientific communities. It is also known for its vitality, demonstrated by the over 900 highly interactive daily poster presentations, the more than 500 speakers selected from submitted abstracts, the many career development programs for those working in academia, industry, and agencies throughout the world, and its advocacy and education programs. It is our pleasure to invite you to the LS² Annual Meeting 2018 with the topic "Metabolism & Signaling in the Life Sciences", held on the 12th and 13th of February, 2018 at the Amphimax/Amphipôle Campus of the University of Lausanne. The LS² Annual Meeting brings together scientists from all nations and backgrounds to explore the large spectrum united under the umbrella of Life Sciences. 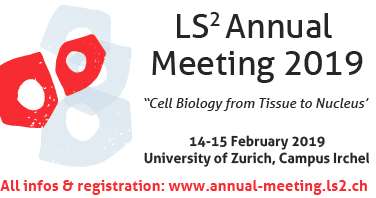 We are looking forward to welcome you at the LS2 Annual Meeting 2018 in Lausanne! After the success of our London Festival in 2017, we are now raring to go once more. We will return to our hometown for the third Festival of Genomics London on the 30th & 31st January 2018. And we've got some good news... registration is now open for you to secure your FREE Festival Pass. Register online at http://www.festivalofgenomicslondon.com/mdpi using promotion code SM3. The Festival is for anyone generating, using, or studying genomic information. We have designed the show to offer insights and value for the full breadth of the genomics community – from academia, biopharma, healthcare organisations, investment firms, patient organisations and solution providers. Our numerous stages will be packed with presentations and panels from some of the industry’s most influential figures and prestigious organisations. In 2018 we will hone in on discussion topics such as: Cancer genomics, cardiovascular health, clinical genomics, CRISPR, drug development, enabling data, genetic counselling, immuno-oncology, implementation of genomics in the clinic, infectious diseases, patient engagement and much more. If you’re using genomics to drive forward R&D, drug development or the diagnosis and treatment of disease then the Festival is the place to get inspired and informed. Join us on our mission to deliver the benefits of genomics faster! On behalf of the organizing committee, we are delighted to welcome you to Caparica (Lisbon, Portugal), for the 3rd International Symposium on Nanoparticles-Nanomaterials and Applications (3rd ISN2A-2018). The Symposium will take place in Costa de Caparica (http://vimeo.com/4939136) the 22nd, 23rd, 24th and 25th of January 2018. We cordially encourage you to attend and contribute to one of the major events in 2018 on the – Nano field. We are confident that you will appreciate the breadth and quality of the scientific program and the city of Caparica, and look forward to seeing you in 2018 in Portugal. The NCCR Chemical Biology is organising the 2018 International Symposium on Chemical Biology to be held from January 10 to 12, 2018 at Campus Biotech in Geneva. 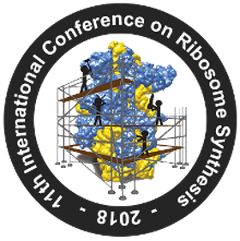 This international meeting of high scientific calibre will bring together leading scientists to feature the latest advances within the broad field of Chemical Biology and foster an open and dynamic dialogue! They wish to expose delegates to new areas of research and allow for the cross pollination of ideas. New international collaborations and increased international visibility will hopefully be the outcome of this unique learning experience that comprises extensive poster sessions, ample time for discussion after each talk and opportunities for targeted networking. Three hundred participants from Swiss universities, various research institutes in Switzerland and neighbouring countries are expected to attend. The 1st Immunotherapies for Infectious Diseases Congress 2017 (I4ID2017), organized by MabDesign and BIOASTER will bring together pharmaceutical industries, research labs, clinicians, service providers, technology developers and policy makers to exchange about the development of immunotherapy solutions for prevention and treatment of infectious diseases. The Scientific Committee has set-up an exciting program for the I4ID 2017 Congress, focusing on antibodies as immunotherapies for infectious diseases that includes keynote lectures, pitch talks of new creative projects, and industrial talks from big pharmaceutical companies. The I4ID 2017 Congress program also contains several opportunities for networking and dedicated time for business partnering. The Consortium of Biological Sciences 2017 (ConBio2017) is to be held in Kobe, Japan, from December 6 (Wed) to 9 (Sat), 2017. The meeting hosted by the Japanese Biochemical Society (JBS) and the Molecular Biology Society of Japan (MBSJ) is jointly held with the 26th FAOBMB Conference with the backing of the 37 participating communities from a variety of fields in life sciences in our country. We believe that ConBio2017 provides you the best opportunities to develop exchange with remarkable researchers inside and outside of Japan and build collaborations in constructive interdisciplinary research. In addition, your pass allows you to attend sessions in NGS, qPCR, and microfluidics as part of the 4Bio Summit. With a focus on applications in healthcare, this conference is designed to help you discover how leaders in the field are using sequencing technology, the challenges they face and the solutions to overcome them. Join us in examining the latest next-generation sequencing technologies, analysis methods and applications across topics at the frontier of genomics, including nanopore sequencing, personalised medicine and genetic screening. 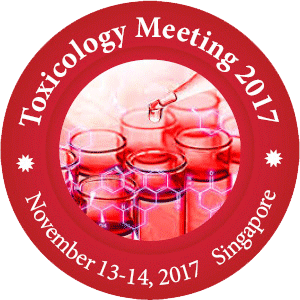 Meetings International proudly announces the Global Experts Meeting on Toxicology Conference scheduled during November 13-14, 2017 at Singapore, with a theme of “Communing Toxicology Investigations for Human Health". Toxicology meeting 2017 will impact an attractive moment to meet people in the research field and therefore it takes a delight in opening a gate to meet the ability in the field, young researchers and potential speakers. The global Toxicology testing market is expected to USD 27.36 Billion by 2021 from USD 14.15 Billion in 2016, at a CAGR of 14.1% between 2016 and 2021. Toxicity testing of new compounds is essential in drug development, as identifying the potential toxicity at an early stage in drug discovery can save both time and developmental costs, and also reduce the likelihood of late-stage failure. Market is valued at USD 12.54 Billion in 2016. This market is expected to grow at a CAGR of 11.7% during the forecast period to reach USD 21.87 Billion by 2021. Meetings International provides a Global Platform for Toxicology Professionals, Biotech, Medical and Healthcare Professionals to Exchange Ideas, Knowledge and Networking at its 100+ International Conferences. the gut, will be covered. opportunities to network and form partnerships. Our Flagship event returns to Boston on the 3rd – 4th October, The Festival provides a unique opportunity to meet with the whole of the genomics community, in an environment carefully constructed to facilitated networking, learning and business growth. Across the two days, four core themes will be addressed by high profile speakers from respected organizations. Listen, discuss and get in on the debates about Personalizing Medicine, Precision Therapeutics, Enabling Data and Research & Development. We know knowledge is power and different experiences can help you learn and retain information. Therefore we have 5 stages oozing with sessions of all different shapes, sizes and formats. Check out all of them to get the full 360 experience of the Festival. The HudsonAlpha Institute for Biotechnology’s Immunogenomics conference brings together more than 200 researchers and thought leaders from around the globe exploring the application of genomic technologies to understand the immune system and the development of disease. HudsonAlpha hosts the Immunogenomics conference on its biotech campus annually in Huntsville, Alabama. The conference provides attendees the opportunity to engage in science discussions, network with experts in the field of immunogenomics and discover the “what’s next” in immunogenomics and how it will help shape the future of human health. On behalf of the Organizing Committee, it is our great pleasure to welcome you to participate in the 6th International Conference on Biotechnology and Bioengineering (6th ICBB 2017), combined with 2017 International Conference on Advances in Biomedicine and Biomedical Engineering (ICABBE) during September 26-28, 2017 in Offenburg, Germany. Themes & Topics: 1.New Approaches and Concepts in Biotechnology; 2.Cell & Immunology; 3.Genomics & Molecular Biology; 4.Enzyme & Protein Engineering; 5.Biomedicine, Pharmaceutical Biotechnology & Toxicology; 6.Bioinformatics & Systems Biology; 7.Biomedical engineering, Biomedical techniques & technologies and other related aspects. 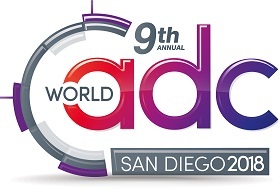 Now in it’s 8th year, World ADC San Diego is the industry’s definitive ADC conference. It’s mission – to be the environment in which scientists can communicate problems and solutions; share novel data and forge networks to develop more clinically impactful ADCs. Over 3 full days, this multi-tracked conference will address every element of ADC research from early discovery to marketization making it the most comprehensive antibody drug conjugate forum you’ll attend this year. Join your peers and 81 industry expert speakers at this year’s conference. 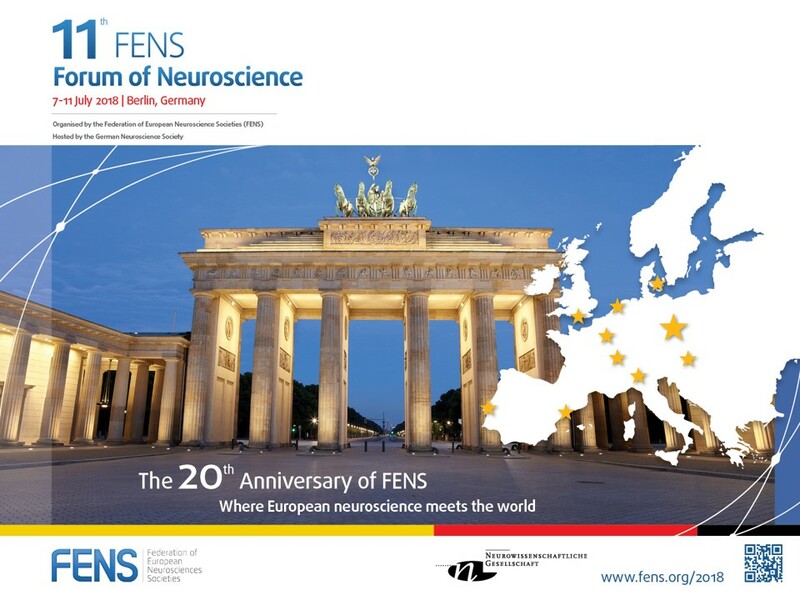 The Regional FENS Meeting in Pécs will focus on the most recent discoveries in neuroscience from molecules to behavior, highlighting discoveries of translational potential. In addition to the wide range of scientific insights a special emphasis will be placed on cutting edge technologies. The conference will be held for four days and will include six plenary speaker sessions, eighteen symposia and three poster sessions. The scientific program of the conference has been chosen by the Program Committee. Besides the scientific program the Organizing Committees are putting together an exciting and diverse schedule regarding the satellite - special and social events. This symposium will bring together key players in the previously segregated fields of RNA and DNA modifications, which are now merging to create a brand new interdisciplinary research field that includes chemical biology, structural biology, bioinformatics, biophysics and cell biology, developmental biology and epigenetics. The symposium will outline the major developments in this rapidly developing field, presented by its worldwide leaders. The growth of biopharma and patient compliance issues have encouraged us to adopt a drug delivery mind set from discovery through to production. Every year we see innovation and breakthroughs at every level of drug development. The DDF Summit brings the most innovative and exciting studies to you. It is a great pleasure for me to personally welcome each of you to the Global Conference on Cancer therapy 2017 during Aug 7th - 9th. A global conference on cancer therapy is timely and well to the point, since remarkable progress has been made in specific areas of cancer therapy, in particular, in immunotherapy, also in combination with other modes or treatment. 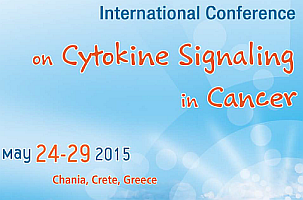 I see that a number of experts in the cancer field are participating in this conference. Thus, I am sure that it will be stimulating and rewarding, in particular for young clinicians and scientists. The "Key Principles of Cancer Therapy" will permit the opportunity to attend a number o interactive sessions, to discuss upcoming challenges and to provide a platform of ideas. I trust that novel opportunities will arise and, in general it will broaden the knowledge of the participants. I trust, in addition that the surroundings of the conference location will also contribute to the success of this meeting. Applied Glycosciences in medicine, nutrition, and biotechnology: glycans in health and disease (cancer, immunity, vaccination, rare diseases, etc),  in food science, in the emerging bioeconomy, and industrial biotech. EUROCARB 2017 will gather academia and industry to burst innovative technologies into application in a large diversity of fields, including medicine, nutrition and food sciences, material sciences, chemistry, biotechnology and bioeconomy. The symposium is also an opportunity to visit Barcelona, the capital of Catalonia, a cosmopolitan city with Mediterranean character and intercultural heritage. Either before or after the symposium you’ll be able to enjoy the city, its architecture including amazing Gaudi’s buildings, its museums and its water forefront with beautiful beaches. On behalf of the Organizing Committee, we wish you all a profitable and enjoyable meeting in Barcelona 2017. We invite you to attend Metabolomics 2017, an exciting scientific program comprising 27 oral sessions, 5 plenaries, 4 poster sessions, sponsored luncheons, as well as several keynote lectures and workshops. We will continue the successful tradition of satellite workshops to the conference in the afternoon of Sunday 25th June and the morning of Monday 26th June. Additionally, we have planned a range of social activities, including a welcome reception, an early-career researcher mixer and a conference dinner in the iconic BCEC Plaza Ballroom to give you a true Aussie-style experience. The conference has the theme of “Building Bridges” and under this banner extends its reach to the systems biology/genome-scale modelling community, as well as to the analytical chemistry/natural products chemistry community. In addition, the program features thematic streams for advancing the field, for food and environmental metabolomics, and for health and wellness. In addition, a deeper engagement between researchers within the Asia Pacific region is a natural focus for a conference held in Brisbane to promote metabolomics research, build and strengthen networks in the region. Brisbane is the ideal opportunity for delegates to enjoy a microcosm of Australia’s iconic experiences. World heritage listed rainforests, amazing beaches, islands, wineries and the internationally famous Australia Zoo—home of the crocodile hunter—are all easily accessible within an hour of the city. You can even do day trips to the Barrier Reef from Brisbane. On behalf of the Local Organising Committee and the Metabolomics Society Board we are excited to once again invite you to Metabolomics 2017—we are looking forward to welcoming you down under! The focus of the 2017 IMB Conference is on “Gene Regulation by the Numbers: Quantitative Approaches to Study Transcription”. Our conference will explore the latest findings and technological developments in the field of gene regulation. The regulation of gene expression is a highly complex process in which numerous different factors play a role, such as signalling pathways, transcription factors and epigenetic modifications. With the recent surge in the development of omics technologies, researchers have generated vast amounts of data describing the contribution of these factors to controlling gene activity. However, interpreting, validating and integrating the data remains a major challenge. A combination of quantitative analysis and experimental research is therefore crucial to draw a complete picture of gene regulation. • How do gene regulatory networks make robust decisions in the face of intracellular and environmental fluctuations? • How do epigenetic mechanisms ensure that gene expression programmes are faithfully transmitted within cell lineages and from one generation to the next? • How do RNA-RNA and RNA-protein interactions control gene expression at the post-transcriptional level? • How do DNA sequence variations influence gene expression and phenotypic outcomes, and what are the long-term consequences of this on an evolutionary time scale? • How can dynamic models help us to understand signalling, gene regulation and cell fate decision making? • Can we improve the speed and accuracy of existing data analysis strategies? • What are the upcoming challenges in data analysis? This conference will be a unique opportunity for participants to learn about the latest discoveries, talk about their own findings and initiate research partnerships. As well as scientific sessions, there will be many networking opportunities, including poster sessions, a conference dinner and an excursion to nearby Kloster Eberbach monastery. We hope that the ideas and concepts developed during the conference will result in exciting collaborations. Anyone interested is welcome to attend and can register online. On behalf of the International Advisory Committee and the local Organization Committee, it is our great pleasure to cordially invite you to attend the 14th International Symposium on Applied Bioinorganic Chemistry (ISABC14) which will be held in Toulouse, France from June 7th to 10th 2017. ISABC14 will cover a wide range of topics in the field of Applied Bioinorganic Chemistry, including interaction of metal ions with biomolecules (proteins, nucleic acids, cofactors etc. ), bioinspired and biomimetic catalysis, metals in medicine, metal ion toxicology and environmental, metal ions in health and diseases, metal ion sensors, metal-based imaging, bioorganometallic chemistry, biomaterials and all other topics related to metals at the interface of chemistry with biology. ISABC14 is dedicated to promote scientific exchange and personal interaction between participants in an informal atmosphere. Two parallel sessions are organized, as we expect to welcome 200-300 participants. A total of 60 oral presentations will be selected from the submitted abstracts. As ISABC14 traditionally gathers many scientists having strong interest in the thermodynamics and kinetics of metal complexes, the 2017 meeting has been organized as a back to back conference with the International Symposium on Metal Complexes (ISMEC 2017) that will take place on June 11-15 in Dijon, France. We are looking forward to welcoming you to Toulouse in June 2017. 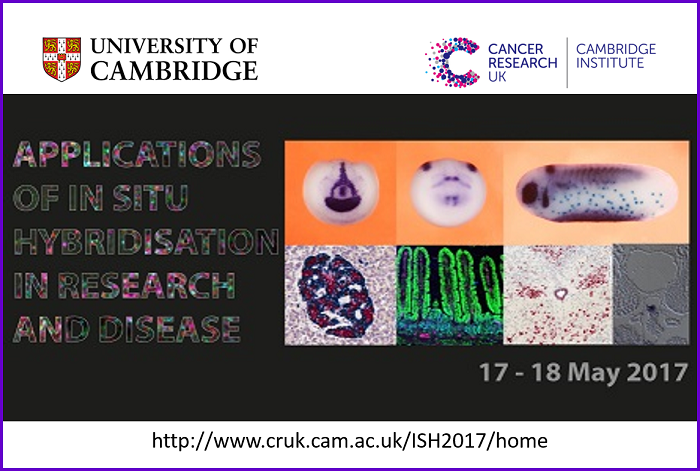 It is our pleasure to announce the return of our Applications of in situ hybridisation in research and disease symposium. The symposium, organised by a committee chaired by Dr Julia Jones, will be held at the Cancer Research UK Cambridge Institute on the 17-18 May 2017. The meeting will highlight advances in in situ hybridisation and it's application in disease. To achieve these goals we have assembled an outstanding list of world-leading researchers to present their work. This two-day conference is intended to bring together all researchers across any field interested in ISH. We have lined up a broad range of topics from leaders in the field including: Current Accepted Methods, Evolutionary Biology, Emerging Techniques, and Translational Research. We will also have a short session entitled ISH Clinic, where talks will be entirely selected from submitted abstracts. This is an opportunity to give a short presentation on interesting results, a troubleshooting case study or a top tip you would like to share. Presentations should be 5 minutes each with a maximum of 2 PowerPoint slides. There will then be a networking event during the evening drinks reception for you to discuss your presentation with other delegates. This is ideal for a first presentation at an International Symposium. Please email [email protected] if you have any questions about this. The 60th Annual Conference of the Canadian Society for Molecular Biosciences will be held Tuesday May 16 to Saturday May 20, 2017 at the Shaw Centre in the heart of nation’s capital Ottawa. To coincide with Canada’s 150th birthday the theme of the 2017 CSMB meeting is “Celebrating Canadian Molecular Biosciences – from Organelles to Systems Biology”. For the first time in its history, the 2017 Annual CSMB Conference will concurrently highlight two important biomedical themes, Systems Biology and Organelle Dynamics, to help foster inter-disciplinary science and innovation. Thus, the 2017 CSMB Conference will feature talks from national and international leaders in a broad range of topics including but not limited to membrane biology, trafficking, signaling, gene and regulatory networks and computational biology. CSMB2017 will also cover health related topics such cancer biology, regenerative medicine, rare diseases and neurodegenerative disorders. Our outstanding keynote speaker is Dr. Brenda Andrews (University of Toronto), a leader in the field of functional genomics. Beyond the slate of outstanding invited speakers, more than half of the oral presentations will be selected from submitted abstracts. There will also be the CSMB Award Lectures and Poster Sessions. On May 17th prior to the official start of the conference, will be a day of workshops for trainees on various themes and a mini-symposium focusing on women in STEMs. Hosting the CSMB Annual Conference in Ottawa will allow us to highlight the ground-breaking research that is occurring across our county to both our federal government and the public. For the first time ever the CSMB Conference will also have an organized slate of outreach events. We have worked hard to keep the meeting affordable and accessible, including a range of accommodations in the heart of the capital. Register early to enjoy savings. Registration will open in January. 2017 is going to be a year-long celebration for Canada and Ottawa is THE place to come celebrate the 150th anniversary of Canada’s confederation. Including a closing night party at the Canadian Museum of Nature in the Dinosaur Gallery. Hope to see you in Ottawa in 2017. This symposium aims to join together national and international university researchers and health professionals operating in the public and private sector. This event will offer a unique opportunity to share innovative scientific results, to stimulate collaborations and to promote research on the beneficial effects of Argan oil on health. The socioeconomic and environmental approach will also be handled during this meeting. Attracting industry, regulatory & academic experts working in all areas of protein and antibody research, the 3rd Biologics and Biosimilars Congress 2017 will feature extended panel discussions with senior executives from prominent organisations. Drawing on their experience and insights these leaders will discuss the challenges, opportunities and future direction of a range promising research fields. The Society will provide various scholarships and awards to the deserving students and scientist jointly with other organizations. SFE will act as a resource at a local level for individuals including students interested in Ethnopharmacology. The key objective of this conference series is to present to the world the frontiers of chemistry and allied sciences and to bring together both young and experienced scientists from all regions to open up possibilities of engaging them in meaningful collaborations at regional and global levels. 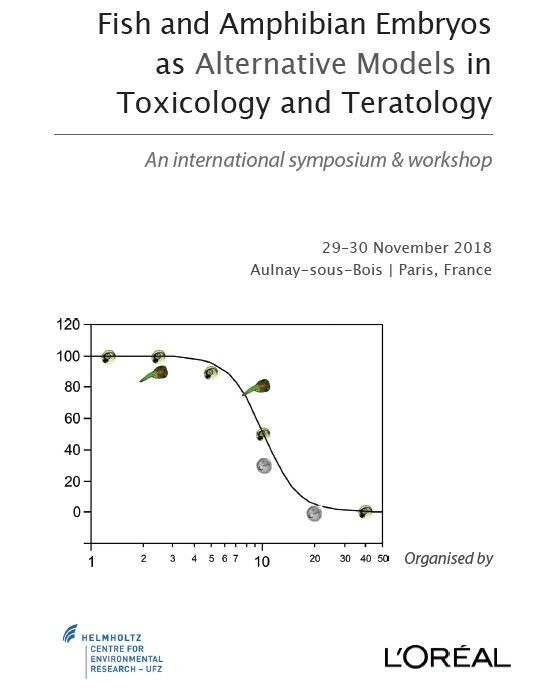 The symposium aims to bring together scientists using fish and frog embryo models, exchange knowledge, ideas and latest developments in the field of toxicology and teratology. The Department of Women’s and Children’s Health of the University of Padua in collaboration with The Pontifical Academy for Life of the Roman Catholic Church is organizing the Third International Congress on Responsible Stem Cell Research that will be held at Congress Center Papa Luciani, via Forcellini 170/a, 35128 Padua, Italy, 16–18 November 2016. Nobel Prize Dr. Shinya Yamanaka will join on video conference, many others important guests will participate. Abstract submission is encouraged, in order to take advantage of this unique opportunity of exchanging results, experiences and opinions. Cancer Immunotherapy 2016 brings together the key opinion leaders in the immunotherapy and tumor immunology fields to address the most up-to-date strategies for immune therapy and means by which immunotherapies may be rationally-combined with more traditional anti-cancer therapeutics. Cancer Immunotherapy & Biofluid Biopsies 2016 brings together the key opinion leaders in the immunotherapy and tumor immunology fields to address the most up-to-date strategies for immune therapy and means by which immunotherapies may be rationally-combined with more traditional anti-cancer therapeutics. This field is converging with biofluid biopsies/liquid biopsies and therefore this conference brings together these two disciplines as they are co-evolving. The conference will cover the role of epigenetics in developmental processes from the level of individual cells to whole organisms. A central theme of the conference will be to explore how the epigenomic landscape changes between fertilisation and differentiation, what regulates these changes and what is their developmental significance. Cambridge Healthtech Institute will host the 14th Annual Discovery on Target event this September 19-22, 2016 in Boston, MA. Spanning four days, the event showcases current and emerging “hot” targets for the pharmaceutical industry. Over 1,100+ attendees (from 26 countries) composed of scientists/technologists, executives, directors, and managers from biopharma, academic, and healthcare organizations participate annually. The 2016 event is comprised of 17 conference tracks, 1 training seminar, 5 symposia, 17 short courses, an exhibit hall of 50+ companies, 135+ posters, and dedicated networking sessions. Discovery on Target assembles an impressive group of 300+ distinguished speakers who look forward to sharing their knowledge, best practices, and expertise with all attendees. It is estimated that 30% of diseases caused by mutations can be linked to splicing. Mutation of a splice site can result in site loss of function and specificity, causing insertion or deletion of aminoacids or a disruption of the reading frame. The importance of understanding and properly decoding roles governing splicing have become a fact for the research community as demonstarted by the increasing number of manuscripts devoted to this subject. Splicing 2016 intends to join in a friendly academic environment all of us working or interested in moving to this area of research. The summit will bring together an exciting balance of industry and academia, so that delegates have the unique opportunity to network with colleagues from different sectors and gain fresh perspective on the various research and current developments in the field. Emerging food safety issues will be delivered by experts both from academia and industry, who will also discuss the latest developments in food analysis technologies, in response to the increasing demand for rapid and efficient food safety and quality testing. Focus will be given to food contaminants and pathogen detection and methods for food safety. Points for discussion will also include the ongoing issue of food authenticity and efforts to reduce food fraud. The ENPER meeting gather biologists working on various aspects of plant endomembrane research. ENPER thematics' cover but are not limited to general elements of trafficking machineries, secretion, endocytosis, recycling pathways, cell polarity, function of the endomembrane system in plant development, plasma membrane and intracellular organelles dynamics and functioning. We warmly welcome delegates, sponsors and exhibitors to participate in the European Chapter Meeting of the Tissue Engineering & Regenerative Medicine International Society 2016, which takes place from 28th June to 1st July in Uppsala, Sweden. The theme of the conference is "Towards Future Regenerative Therapies”, aiming to bring together leading experts within the tissue engineering and regenerative medicine community to present and discuss their latest scientific and clinical developments. The upcoming 2nd International Conference “Current Trends in Cancer Theranostics” will be held in June 19-23, 2016 in Druskininkai, Lithuania which is the ideal environment to disseminate and gain current knowledge in health related topics. 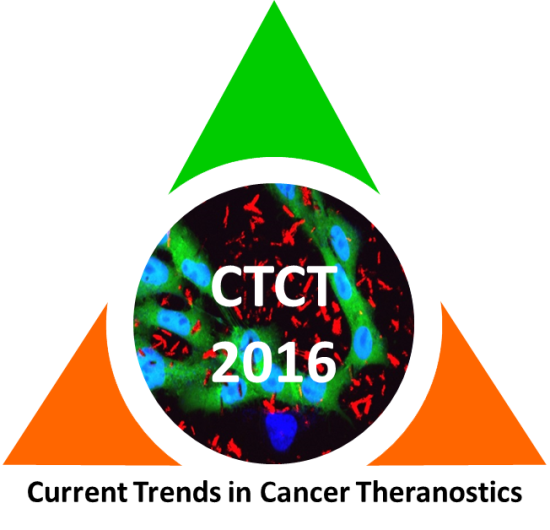 The main aim of CTCT-2016 is to learn and share the progress on advanced and integrated solutions for bio-imaging and therapy based on nanomaterials. The integration of novel nanoparticles into a technological processes or processing environment has the potential to yield highly efficient and cost-effective cancer theranostics. The proposed conference demands the multi-disciplinary cooperation between physicists, material scientists, biophysicists, biochemists, physicians and device engineers, and offers excellent possibilities for the translation of innovative solutions into clinical therapies. The Organ-on-a-Chip Europe 2016 conference explores this emerging field wherein microfluidics-based approaches are being utilized to assemble clusters of cells in a physiologically-relevant architecture. These organs-on-chips can be utilized for functional studies ex vivo such as toxicity screening wherein a proper spatial cellular organization is key to manifest functionality. This event provides in depth insight into how stem cells are revolutionising in vitro disease models, assay development, toxicology studies and lead generation in drug discovery. 7th ICDDT, being the most innovative event, aims to provide an open and stimulating scientific and cultural exchange that will give all the participants the opportunity to share their experiences, foster collaborations across industry and academia and evaluate emerging technologies across the globe. The conference aims to shed light on the translational nature of biotechnological research, with emphasis on both the basic science as well as its applications in industry and academia. Recent advances in high-throughput sequencing have led to the discovery of tens of thousands of novel noncoding RNA genes, including both short and long forms. The field is progressing rapidly, in part by using systemic approaches to identify and interrogate the functions and modes of action of noncoding RNAs. 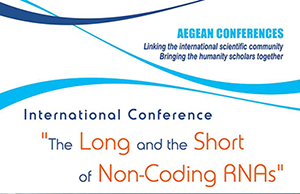 The workshop will bring together scientists with common interests in noncoding RNA (ncRNA) biology with topics spanning from ncRNA functional discoveries to the novel techniques used to uncover ncRNA function on an increasing scale. An international scientific conference sponsored by the journal Viruses under the patronage of the University of Basel. ILMAT - The International Conference on Ionic Liquid-based Materials focuses on all aspects of modern materials chemistry, physics, and engineering exploiting the tremendous potential of ionic liquids for materials synthesis, design, and tuning. After the successful collaboration at the occasion of ILMAT 2013, the ILMAT organizers have once again teamed up with Int. J. Mol. Sci. to edit a topical issue on ILMAT 2015. The field of Food Technology is growing rapidly and its development is making tremendous impacts in life sciences and public health. The importance and significance can be gauged by the fact that it has made huge advancements over the course of time and is continuing to influence various sectors. This event features the latest innovations, science, business and clinical best practices. Get first-hand access to the latest discoveries and research transforming rheumatic disease care. Or, focus on clinical applications that will improve health for your patients today. Take time to join your colleagues to focus on the prevention, diagnosis and treatment of rheumatic disease. Experience personalized learning that allows you to expand your knowledge to new areas of interest and focus on your specialty. This conference will provide an opportunity to learn about and keep up to date with the rapidly progressing area of cancer genomics. It will cover presentations from cancer genome projects, the areas of cancer functional genomics, systems biology, cancer mouse models, and the translation and clinical impact of scientific results obtained. The general theme of this symposium is to promote science and industrialization translation of emulsion polymerization and microspheres by discussing recent research advances in both fundamental and applications in the fields of emulsion polymerization and functional polymeric microspheres. Accumulating evidences support the importance of RNA biology in the hallmarks of cancer. Post-transcriptional steps of gene expression (pre-mRNA splicing and polyadenylation, mRNA stability, translation and modifications) as well as the functions of non-coding RNAs are increasingly diverse. It is therefore challenging to comprehend this complexity in the context of cancer. The internationally renowned experts invited to this symposium will present the recent advances in our understanding of RNA biology in cancer. This will be complemented by at least 10 selected talks and 60 poster presentations. The symposium is intended to bring together RNA and cancer biologists. It is expected that the small size of the attendance (max 120) will foster stimulating discussions that will lead to innovative collaborations. 12th EUCHIS / ICCC 13th will particularly focus on being a platform for young scientists to share their results and ideas, and on bridging the gap between academic research and industrial product or process development. The theme of iCAST 2015 (5th International Conference on Advancement in Science and Technology) is “Frontiers in Biotechnology“. It aims to provide a platform for academicians, researchers, biotechnologists, scientists, and students to interact and discuss recent advances and new findings in various field of biotechnology and its applications. Biological Inorganic Chemistry has become an interdisciplinary area from chemistry, biology, environmental science, bioinspired materials to medicine. ICBIC has become a highly established international meeting, provides a platform for scientists to present and discuss the latest developments and helps promote ongoing and new collaborations. The next Post-transcriptional Gene Regulation in Plants which will be held at the National Society of Horticulture of France, in Paris, France. 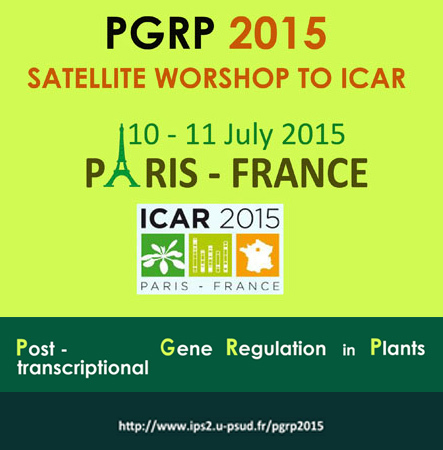 The PGRP 2015 meeting will follow the ICAR 2015 Arabidopsis conference for 2 days, the 10 and 11th of July 2015. Several aspects of post-transcriptional regulation of gene expression will be covered: pre-mRNA processing (capping, splicing, polyadenylation), RNA stability, and translation as well as new connections with chromatin modifications through regulatory RNAs (miRNA, siRNAs and long non-coding RNAs). The symposium will bring together about 150 participants in a rather informal atmosphere, facilitating informal exchanges and development of new collaborations. Many slots are reserved for young researchers to present their work in each session. The congress takes place under the framework of the biennial GBM conference "GBM - Molecular Life Sciences", and the joint event will cover the entire spectrum of molecular biosciences with symposia on "Mechanisms of Gene Expression", "Membranes, Receptors & Bioenergetics", "Structural Biology & Biophysics", "Systems Biology, Bioinformatics & Theoretical Biology", "Molecular Neuroscience" and "From Chemical Biology to Molecular Medicine". This conference will provide recent advances in health and medical sciences, including oncology and anticancer research, diabetes, free radicals and antioxidants in health and disease, thalassaemia and other haemoglobinopathies etc. The goal of this meeting is two-fold. One is to review recent advances in non-coding RNA biology, from biosynthesis to function. The second is to discuss the use of therapeutic non-coding RNAs (including antisense RNAs, siRNAs, miRNA mimics and antagomirs, crRNAs of the CRISPR_Cas system, aptamers, etc) as tools to correct faulty gene expression in human disease. ISABC13 will cover a wide range of topics in the field of Applied Bioinorganic Chemistry, including metal ion interactions with nucleic acids, metalloproteins, bioinspired catalysis, metals in medicine, bioorganometallic chemistry, metal ion toxicology and environmental aspects, metal ions and human diseases, metal ion sensors, and biomaterials. The EULAR Scientific Programme will provide attendees the opportunity to hear about the latest advances in rheumatology through lectures, workshops, abstracts, poster presentations and symposia. The 9th Malta Polyphenols World Congress will bring together experts from academia and industries to debate on the latest scientific advances in the field of polyphenols and their uses to improve human health. Please join us for the 20th Annual Meeting of the RNA Society to be held May 26th-31st on the beautiful campus of the University of Wisconsin - Madison. The 2015 meeting will involve a number of Plenary Sessions encompassing RNA expression, processing and metabolism as well as Workshops exploring RNA therapeutics, RNA-mediated genome editing, and RNA and disease (just to list a few). We feel that there is a specific unmet need for a summit on the signaling mechanisms that mediate cancer-related function of cytokines either in cancer cells or within the microenvironment or associated with cancer noxias such as DNA damaging agents, infectious disease or aging related processes. The proposed Aegean conference on the cytokine signaling in cancer should fill this gap and bring together outstanding experts in the area and enable exchange the information and ideas important for improving our understanding of cancer etiology and pathogenesis. This should pave roads towards design of novel anti-cancer therapeutic modalities. The 3rd ESTRO Forum will provide a wonderful platform in which to explore innovations and the latest advances in radiation oncology. General fields of study include anatomy, physiology, pathology, biochemistry, nutrition, and pharmacology. Polymerase chain reaction (PCR) for Molecular Medicine will provide a comprehensive look at PCR in both the research and clinical setting as well as insight into advanced techniques and tools for effective disease diagnosis. MipTec is the premier European conference and exhibition encompassing innovative approaches to high quality science and technology for efficient drug discovery. The mission of MipTec is to bring together scientists from all disciplines involved in drug discovery within pharmaceutical and biotech companies, academic labs and technology providers in an atmosphere, where ideas and experiences are shared and discussed. Visit MipTec 2014, the leading European Event for Drug Discovery! The 9th Lausanne Workshop on Chemical Information will take place on September 12, 2014 at the Federal Institute of Technology Lausanne, Lausanne-Dorigny, Switzerland. The journal Challenges and MDPI will be sponsoring a prize of 2’000 CHF (Swiss Francs) for the winner of a contest aiming at identifying the best open source cheminformatic tool of the year. To enter the competition, the authors of such tools are invited to make the source code of their tool openly available (for instance using GitHub) and send a 1–2 pages description of the tool by e-mail to Dr. Luc Patiny ([email protected]). The short description papers will be published in the journal Challenges after editorial review. The winner of the contest will be invited to present his/her tool at the workshop where the prize will also be awarded. We are looking forward to the response and tools submitted to this first contest! The EuroQSAR Symposia have been taking place since 1973 and constitute the major scientific events in the field of computer-aided drug design & discovery, with further applications in agricultural and environmental sciences. The 2014 symposium will not only follow the tradition of previous events in presenting latest trends in QSAR and molecular modeling, it will also explore new grounds, such as integrated approaches and open innovation strategies in drug discovery. The 20th EuroQSAR symposium, entitled Understanding Chemical-Biological Interactions, will include 9 plenary lectures and 28 oral communications to be selected from the submitted abstracts . The Scientific Programme will be completed by Company Workshops, a Poster Session, a Commercial Exhibition as well as an impressive Social Programme around Saint-Petersburg, capital of culture of Russia and a UNESCO landmark. The conference will bring together people that work on diverse experimental and computational aspects related to inferring and analyzing the effect of human mutations on protein function and their role in causing cancer and rare diseases. From enzyme catalysis to ecosystems dynamics, biology is riddled with competition. DNA sequences compete for transcription factor binding to be expressed, cells in communities often compete for resources, pathogens compete against host immune systems, and on a larger scale, organisms compete against each other for limited resources in their environment. The 15th EMBL PhD Symposium (21-23 November 2013), entitled 'Competition in Biology - The Race for Survival from Molecules to Systems', addresses this. 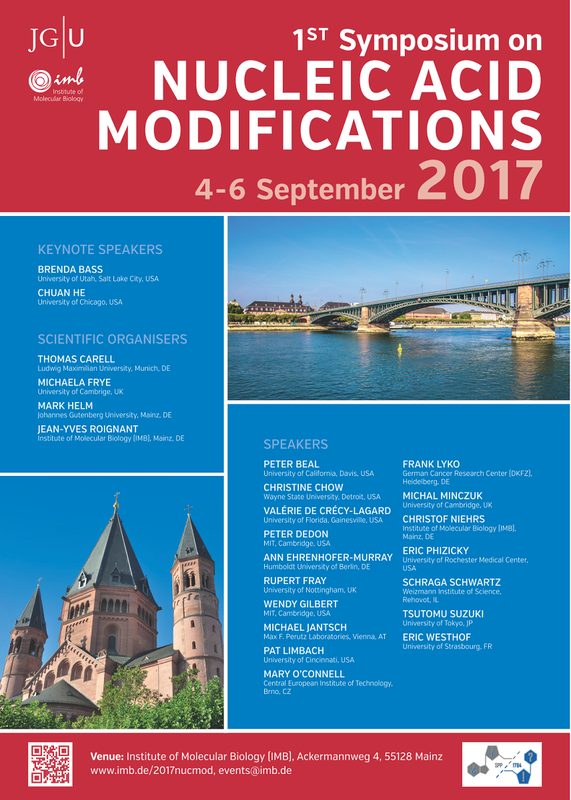 The Symposium is an annual event, organised by first-year PhD students at the European Molecular Biology Laboratory in Heidelberg, Germany. It brings together fellow students from around the world, for a 3-day series of talks by leading experts but also by students themselves. Networking opportunities, poster sessions and workshops are also included in the programme. Biological competition offers an exciting and fresh perspective on the life sciences. The 2013 Symposium is timely in contextualising biological competition as a fundamental concept from the biomolecular to the systems level. OMICS Group is delighted to invite you to attend the International Conference and Exhibition on Biochemical & Molecular Engineering, October 07-09, 2013 San Antonio, USA. International Conference and Exhibition on Biochemical & Molecular Engineering serves as a platform for reunion of scientists in the area of Biochemistry & Molecular biology research. This conference aims to bring together academic scientists, leading engineers, industry researchers and scholars to exchange and share their experiences and research results about all aspects of Biochemistry & Molecular biology, and discuss the practical challenges encountered and the solutions adopted. The scientific program will include workshops, symposia and poster sessions on a wide range of Biochemistry & Molecular biology topics. The conference will also feature a showcase of exhibitors for you to explore. Leading Biochemist & Molecular biologist will descend upon the City to share and examine innovative scientific breakthroughs in cancer science from basic science to clinical research. The International Conference and Exhibition on Biochemical & Molecular Engineering, which is going to held at San Antonio, Texas, USA will have discussions on "Innovations and Novel Therapeutic strategies in Biochemistry & Molecular biology”. The program will be a rich mix of formats ranging from oral sessions featuring many well-known and thought provoking key speakers to intense and highly interactive discussion sessions. The scientific program also helped to pave a way to gather visionaries through the research talks and presentations and put forward many thought provoking strategies in Biochemistry & Molecular biology. Now it is the time for the Bio Molecular Engg-2013 to share the Knowledge on Innovations and Novel Therapeutic strategies inBiochemistry & Molecular biology which will be held in San Antonio, USA. The mission of MipTec is to bring together scientists from all disciplines involved in drug discovery within pharmaceutical and biotech companies, academic labs and technology providers in an atmosphere, where ideas and experiences are shared and discussed. This atmosphere is created through a scientific program covering key topics and the latest breakthroughs in the diverse fields that make up drug discovery. This unique international conference will provide a platform for all pharmaceutical scientists, internists and primary care physicians to discuss and learn about important international breakthrough developments in drug discovery and on new therapeutics. The focus of the conference will be on the interdisciplinary fields of drug discovery, drug therapy and translational medicine. A similar series of conferences have been held by the organizers in the UAE over the last several years. These events have been highly successful and many top international scientists, including over 22 Nobel Laureates, have presented their work. The International Conference on the Fundamentals of Adsorption (FOA) is the premier international conference in the field of Adsorption. The FOA series of conferences originated in 1983 and a conference in the series has been held every three years since that time. The conference is held under the auspices of the International Adsorption Society (IAS) and is hosted in rotation by the US, Japan and Europe. The conference is attended by researchers in adsorption and related fields from throughout the World. Many of the attendees are Chemical Engineers but there are also large numbers of Chemists, Physicists and members of other disciplines. Moreover the level of industrial participation is high. Thus the conference is an excellent forum for the exchange of ideas and information between scientists, engineers in academia and industrial practitioners in the field. This will be the 9th BioMalPar conference at EMBL Heidelberg, sponsored by the European Virtual Institute of Malaria Research (EVIMalaR). EVIMalaR is a Seventh Framework Programme (FP7) Network of Excellence (NoE) project funded by the European Commission. Whilst distinct from its predecessor BioMalPar, EVIMalaR seeks to continue some of the best BioMalPar initiatives, including the annual meeting at EMBL. EVIMalaR is Europe’s biggest malaria research institute, involving 62 research groups from around the world and undertakes world-leading research into the malaria parasite and identifying targets for new drug therapies. EVIMalaR’s membership includes partners from across Europe, African malaria endemic countries (Sudan, Uganda, Nigeria, Cameroon, and South Africa) and one Indian institute. The Australian Malaria Research Network also enjoys full membership. Created in October 2009, EVIMalaR was established and will perpetuate the original BioMalPar (which formally ended in September 2009) vision of forming a European-wide virtual institute, enhancing cohesion between its component research groups. EVIMalaR places a particular emphasis on its training role, and continues to support a high profile PhD scholarship, fellowships and travel awards. EVIMalaR aims also to ensure a broad dissemination of research results and enhance the public awareness through outreach, including the implementation of websites www.evimalar.org& www.malariacomic.comtogether with the organisation of annual conferences, training courses and meetings. The scientific aims of the network remain to address, in an integrated, collaborative manner, fundamental questions of the biology of the malaria parasite, its vector, and the disease, allowing optimal exploitation of the resulting knowledge to impact on public health. The purpose of the annual BioMalPar conference is to bring together malaria researchers from Europe and overseas (including Africa, America, Asia and Australia) to present and share recent groundbreaking findings on fundamental malaria research. New insights will also be featured through the use of poster sessions. This meeting will provide an enriched environment for researchers at all stages of their career to interact with international leaders in the field. The meeting will offer an excellent opportunity for sharing ideas and for potential development of new worldwide collaborations. This meeting is one of the few in the world dedicated to Neuroendocrinology, and brings together clinical practitioners, basic scientists and opinion leaders working across Europe and overseas. The scientific program with distinguished speakers from over 20 countries offers a unique opportunity to keep in touch with current developments in the field. Clinical, translational and basic topics will be covered in 6 plenary lectures, 8 Symposia and 12 Meet the Expert sessions. Following the experience of previous ENEA meetings, this is the forum where researchers in Neuroendocrinology present their work and we have taken care to increase the number of oral presentations chosen from submitted abstracts to 40. A variety of prices and travel grants will be awarded to the best presentations. This meeting would not be complete without the exhibition and high quality educational sessions of the health care industry, which are highly acknowledged. BIOCOMP is one of the premier research conferences in bioinformatics and computational biology. 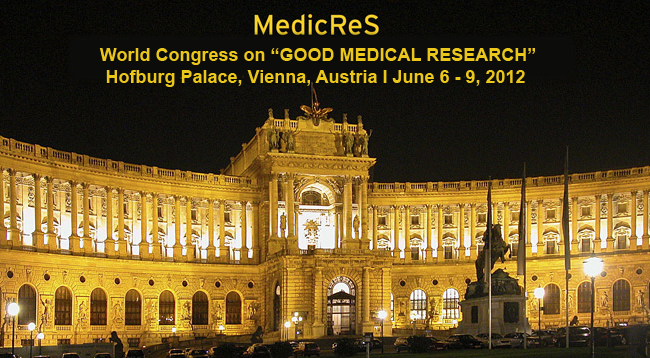 It is being held jointly (same location and dates) with a number of other research conferences (WORLDCOMP). 18–20 June 2012 Paulo International Medical Symposium 2012 "Schizophrenia – Epidemiology and Biology"
The Paulo International Medical Symposium 2012 entitled Schizophrenia – Epidemiology and Biology will be held in Oulu, Finland, from 18th to 20th June, 2012. The conference is organized by the Oulu Psychiatric Epidemiology Society (OPES) in collaboration with the University of Oulu. There will also be three international conferences on Good Biostatistical Practice, Good Publication Practice, and Good Bioethical Practice, and the international symposium Good Medical Research Tools for Pharmaceutical Industry will take place within the congress. ISSF 2012 is a global conference that brings together an international group of researchers, practitioners, and industrialists who will contribute cutting-edge presentations on emerging applications and processes. The focus of this meeting is to highlight the discovery, development, and production aspects inherent with a wide range of technologies that utilize the unique capabilities of supercritical fluid solvents. This three-day symposium is structured with parallel sessions packed with plenary, keynote, and contributed talks as well as poster sessions. This unique international conference provides a platform for all pharmaceutical scientists, internists and primary care physicians to discuss and learn about all the important international breakthrough developments in drug discovery and on new therapeutics. This conference organized by Eureka Science with the support of the Higher Colleges of Technology, UAE, focuses on the interdisciplinary fields of drug discovery, drug therapy and translational medicine. After the overwhelming success of the previous conferences held in Dubai in February 2008, 2010 and 2011 (where many Nobel Laureates attended), the fourth conference promises to be a much larger event with over 500 talks delivered and 36 thematic sessions with poster presentations and an associated commercial exhibition. Throughout the course of the four day conference, you will have the opportunity to both network and hear leaders from the international pharmaceutical, academic and clinical communities. It is my great honour and pleasure to invite you to the XIVth Conference on Heterocycles in Bio-organic Chemistry, which will be held on September 4 – 8, 2011, at Masaryk University in Brno, Czech Republic. The conference is a continuation of the international series started by Professor Henk van der Plas in 1980. Bio-organic chemistry has been a dynamic research field; we have witnessed significant expansion of its boundaries during the last few years and we feel it is time to learn about the latest progress in the field. Therefore, our Department took the opportunity to organize the XIVth Conference. Our goal is to create a pleasant and friendly atmosphere in order to facilitate fruitful interaction of young scientists with internationally recognized speakers who were chosen with the help of the members of the Scientific Committee. I am looking forward to seeing you in Brno - city of science and music, personified by Johann Gregor Mendel and Leoš Janáček. 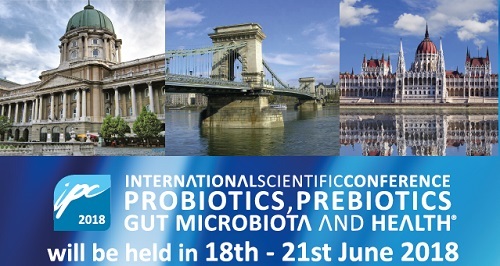 The International Scientific Conference on Probiotics and Prebiotics - IPC2011 will be held during 14th - 16th June 2011, in the university city of Kosice, Slovakia. IPC2011 is the oncoming event of the successful conference series focusing on probiotics in 2000, 2004, 2008, and 2010. The scientific programme will focus on current advances in the research, production and use of probiotics and prebiotics with particular focus on their role in maintaining health and preventing diseases. The conference's goal is to provide a scientific forum for all stakeholders of probiotics and prebiotics and enable the interactive exchange of state-of-the-art knowledge. The conference will focus on evidence-based benefits proven in clinical trials and scientific experiments. At IPC2011 leading scientists will present and discuss current advances in the research of probiotics and prebiotics. New scientific evidences that support or question the efficacy of already existing or prospective substances and applications will be conferred. In addition novel strains, controversial but scientifically solid ideas, approaches and visions will be presented as well. Fungi, algae and cyanobacteria are capable of producing an expansive array of toxic secondary metabolites that adversely affect the health of humans and animals. Mycotoxins and phycotoxins are found in food, water and air. The frequency and intensity of their occurrence is often impacted by environmental change and human activity. Given the ecological and societal importance of this field, numerous disciplines (e.g., analytical chemistry, toxicology, ecology, plant pathology, epidemiology, genomics/proteomics, meteorology, economics and risk assessment/hazard management) within the public and private sectors have been involved in addressing the myriad problems associated with the occurrence of these natural toxins. The 15th Gordon Research Conference on Mycotoxins and Phycotoxins offers a unique international forum for academic, governmental and industrial scientists to exchange ideas, identify new research opportunities and initiate cross-disciplinary collaborations. Contemporary themes will be explored to facilitate the discussion of the “what, how, who, when, and why” of natural toxin events. 8) risk assessment and abatement. 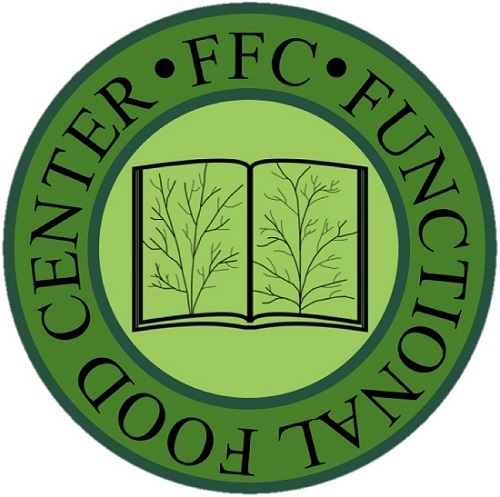 A primary goal of this unique gathering is to create a critical mass and atmosphere for creative thinking necessary to advance knowledge of the complex environmental and societal problems presented by naturally occurring toxigenic microbes and their toxins. 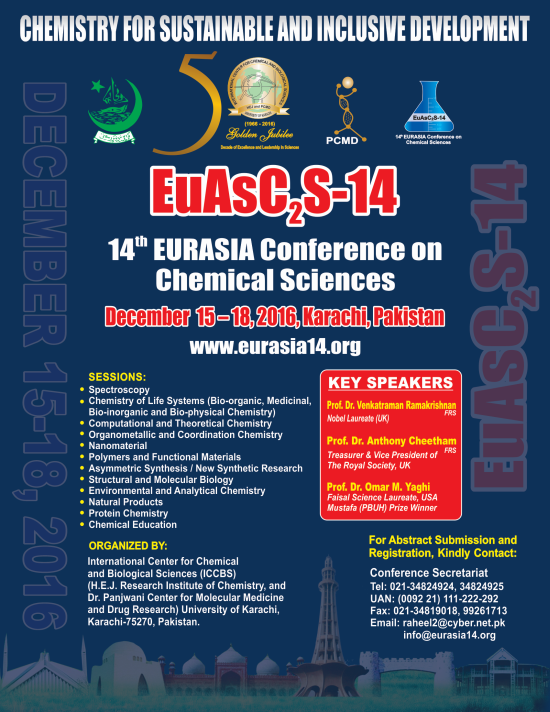 Special consideration will be given to strategies to improve interactions of junior and senior scientists during the conference. In keeping with the ethos of Gordon Research Conferences, while information will be disseminated by speaker presentations, vigorous discussion will be the key focus. Designated discussion leaders, recognized for their skills in each particular area, will guide the audience-based discussions. Poster sessions will provide an opportunity for lively and informal discussion, in counterpoint to the more formal oral sessions. In addition, the Gordon Research Seminar (GRS) will convene immediately preceding the GRC (11-12 June 2011). Organized and conducted by graduate students and postdocs, the GRS will provide an opportunity for junior scientists to present their work in a formal, oral format, in front of their peers. These students will participate in the subsequent Mycotoxins and Phycotoxins GRC providing an unmatched opportunity to promote interactions between future researchers and established ones. This conference will focus on polymer chemistry and materials science applied to biological problems of current relevance. Topics will include synthesis of functional polymers, integration of biomolecules, biohybrids, hydrogels, tissue engineering, controlled polymer synthesis, protein-sugar interactions, hybrid materials for disease diagnostics, biomaterials synthesis, and drug delivery. World renowned scientists will give plenary lectures, and oral presentations will be selected from submitted abstracts. Poster sessions and ongoing lively discussions are expected, and the participation of younger scientists is highly encouraged. Early in 2005, the American Ceramic Society, the European Ceramic Society and the Ceramic Society of Japan announced a collaborative effort to provide leadership for the global ceramics community that would facilitate the use of ceramic and glass materials. That effort resulted in an agreement to organize a new biennial series of the International Congress on Ceramics, endorsed by the International Ceramic Federation (ICF). The 1st International Congress on Ceramics (ICC1) was held in Canada, 2006, under the organization of the American Ceramic Society, and the 2nd Congress (ICC2) was held in Italy, 2008, hosted by the European Ceramic Society. Global business and technology leaders, scientists and researchers gathered to share ideas and visions of the future for ceramic and glass materials, and to engage the worldwide ceramics community in a collective effort to expand the use of these materials in both conventional as well as new and exciting applications. It has been agreed that the 3rd Congress (ICC3) will be held in Japan, 2010, organized by the Ceramic Society of Japan (CerSJ). This Congress incorporates the 23rd Fall Meeting of Ceramic Society of Japan and the 20th Iketani Conference, and is endorsed and supported by ICF, Asia-Oceania Ceramic Federation (AOCF) as well as many other organizations. Following the styles of the previous two Congresses, the program is designed to advance ceramic and glass technologies to the next generation, through discussing the most recent advances, as well as developing the global roadmap that contains perspective and future trends. The Congress will consist of voluntarily organized 22 symposia in the most topical and essential themes of ceramic and glass materials, including Characterization, design and processing technologies, Electro, magnetic and optical ceramics and devices, Energy and environment related ceramics and systems, Bio-ceramics and bio-technologies, Ceramics for advanced industry and safety society, and Innovation in traditional ceramics. It will also contain the two special symposia designated by the conference chair; "Emerging and Innovative Technologies for Sustainable Society" and "Road-Maps, Policies and R&D Strategies." I would like to invite you to visit Osaka, the most vivid city of Japan with traditional culture and history, and actively participate in ICC3. The congress will provide an excellent opportunity for interactions and friendships with participants from over the world, who are involved in research, development, engineering, manufacturing, and application of ceramic and glass materials. Looking forward to seeing all of you in Osaka, Japan in November, 2010! It gives us a great pleasure to invite you to participate in the International Congress on Nanoscience & Nanotechnology ICNN2010, to be held from November 9th, through November 11th, in Shiraz, Iran. The congress, hosted by Shiraz University and organized to gather scientists and engineers interested in recent developments in all branches of science and technologies. We are planning an exciting and informative set of invited talks, tutorial sessions, oral and poster presentations, and exhibitions reviewing the latest developments in these fields. We hope that you will visit this pioneering event either as a contributor to spread your excellent knowledge by lecturing and publishing the results, or as a visitor just listening attentively to the expert\'s finding in the beautiful lecture halls of the congress venue. As technical sponsor, the Shiraz University encourages all professors, researchers, students and experts to attend and contribute to the congress. We are now seeking contributed papers in all areas of science and associated technologies. On behalf of the organizing committee of the congress, We look forward to see you all in Shiraz, a modern ancient city, where tradition and culture breathe together. ICAR will provide a new forum in Europe for the presentation, exchange and dissemination of information and experiences on anti-microbe strategies, in biotic or abiotic environments, in planktonic or adhered states, in biologically specific or unspecific ways, in vitro or in vivo. "Anti” is here taken in a wide sense as “against cell cycle, adhesion, or communication”, when harmful for human health (infectious diseases, chemotherapy...) and/or industry/economy (food, biomedicine, agriculture, livestock, biotechnology, water systems...). It will include topics on antimicrobial resistance, (early) microbial and resistance detection, enhancement of innate defences against pathogens, as well as methods & techniques. Please click here for a list of themes. We now welcome submissions of abstracts for oral, poster or virtual presentations at the conference. All abstracts for the ICAR2010 Conference must be submitted online. You are recommended to read the Call for Papers section to get more details about abstract and full paper submissions. Deadline for abstract submission is 22 July 2010. The conference will develop in Valladolid, the capital of the Spanish Castilla y León region. This region is considered the magical “land of the castles”, a land which gave birth to the Castilian Spanish language. Valladolid, the "land of the wines", is internationally recognized for excellent wineries and vineyards, producing some of the Spanish world-famous wines (i.e. Ribera del Duero). Valladolid holds the former home of the Spanish writer Miguel de Cervantes, who wrote Spain\'s most famous work of literature, Don Quijote, currently turned into a museum in his memory. You will discover a region which is rich in monuments, old fortresses, archaeological sites, and stunning nature areas. You may also relax in one of the excellent restaurants to be found there. Please click here for a flyer about Valladolid. Share successes and opportunities to challenge ourselves to achieve greener process design. The symposium is in large part comprised of invited presentations. However, the organizers welcome you to submit an abstract for consideration. Oral presentation slots and posters may be available. Refer to the abstract guidelines for more information. There is no formal deadline for submission of abstracts because they will be accepted until the space is full. However, those interested in an oral presentation slot are encouraged to submit an abstract by February 15. Information on registration, abstract submission, accommodations, etc. will be available in early 2010. On behalf of the Organizing Committee, we are pleased to announce to you that the 2nd "Florence Conference on Phenotype MicroArray Analysis of Microorganisms The Environment, Agriculture, and Human Health" is scheduled to be held from September 13th to 15th, 2010. This conference will be held at Polo delle Scienze Sociali di Novoli, University of Florence, Italy. The first edition of the Conference attracted more than 110 researchers, postdoctoral associates, students and others from 23 countries. During the Conference over 60 scientists presented their research in lectures, oral presentations and posters. As the title of the conference indicates, the principal emphasis is on the use of phenotypic analysis and phenotypic data to gain deeper understanding of the biology of microorganisms. Within the conference there will be sessions focused on topics such as environmental microorganisms, and pathogenic microorganisms that are transmitted to humans via the environment, animals, and food. One session will include communications on traditional uses of Biolog plates (ecoplates, GNs, etc.). The conference will be organized in the following format: -Invited lectures -Oral communications and Poster sessions The selection for oral and poster communications will be made by the Scientific Committee. On behalf of the Organizing Committee, I look forward to seeing you in Florence. Yours sincerely Carlo Viti, Ph.D.
EUCO-CC8 is organized by the Division on Computational Chemistry of EuCheMS in cooperation with the Division of Theoretical Chemistry of the Swedish Chemical Society and the University of Lund. The conference will cover research in all areas of computational chemistry. A number of invited lecturers will highlight the latest advances in Materials chemistry, Soft matter, Biological chemistry, Photochemistry and photobiology, Homogenous catalysis and Computational chemistry on alternative platforms. The scientific program will consist of invited plenary and session lectures, oral contributions, and two poster sessions. NanoTR - Nanoscience and Nanotechnology Conference is the most comprehensive meeting organized annually in Turkey in the field of nanoscience and nanotechnology. The 6th Nanoscience and Nanotechnology Conference (NanoTR6) will be held in Izmir Institute of Technology, Izmir, June15-18, 2010. The objective of the 6th Nanoscience and Nanotechnology Conference is to bring scientists, students and engineers from different fields such as physics, chemistry, biology, materials science, engineering (electronic, textile, environment, mechanical), pharmacy and medicine to discuss the recent developments in the field of nanoscience and nanotechnology. Molecular recognition phenomena are central to most biological interactions and processes. They are responsible for the non-covalent specific interactions between biomolecules and various ligands and between two or more biological molecules exemplified by receptor-ligand, DNA-protein, antigen-antibody, sugar-lectin and other recognition phenomena. In recent years, our understanding of the basic physico-chemical principles underlying all these interactions has grown considerably both at the structural atomic level and at the functional level in terms of kinetic binding constants. This course will discuss some of the unifying rules that govern all molecular recognition phenomena and will describe how novel nanotechnology and biosensor tools have helped to analyze single molecule recognition events as well as the dynamics of intracellular interactions. The nature and prediction of B cell epitopes in proteins and the development of synthetic vaccines. The course will stress the basic principles underlying the structure, dynamics and activity of biological recognition sites and will illustrate the application of this knowledge to two current research areas in molecular immunology. Tim Clark, Athel Cornish-Bowden, Peter Dimroth, Keith Firman, Christoph Gerber, Michael Huth, Jorgen Kjems, Kerstin Koch, Petr Kral, Hans Mulders, Jonathan Posner, Thomas Schimmel, Petra Schwille, Peter Seeberger, Ned Seeman, William Shih, Sylvia Speller, Fraser Stoddart, Paul Weiss. The programme features around 50 symposia, which will demonstrate the impact of the chemical sciences, highlighting exciting innovations with an overall focus on \'Chemistry Solutions\'. With around 15 parallel sessions taking place each day plus end of day satellite meetings still being added, there are a range of topics and talks to choose from.